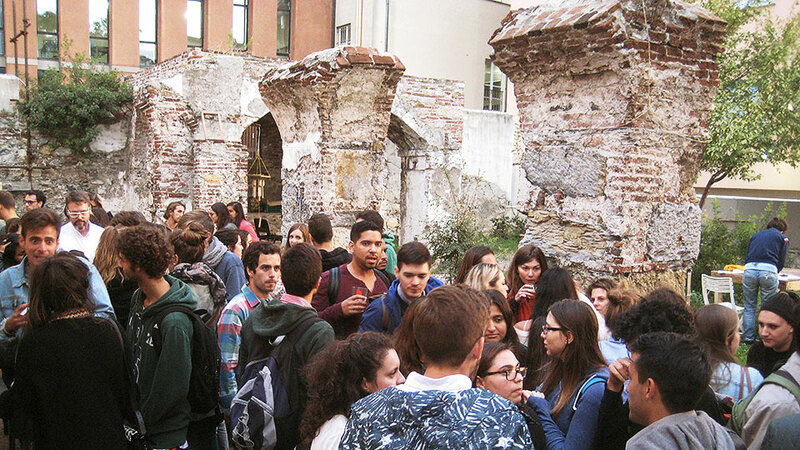 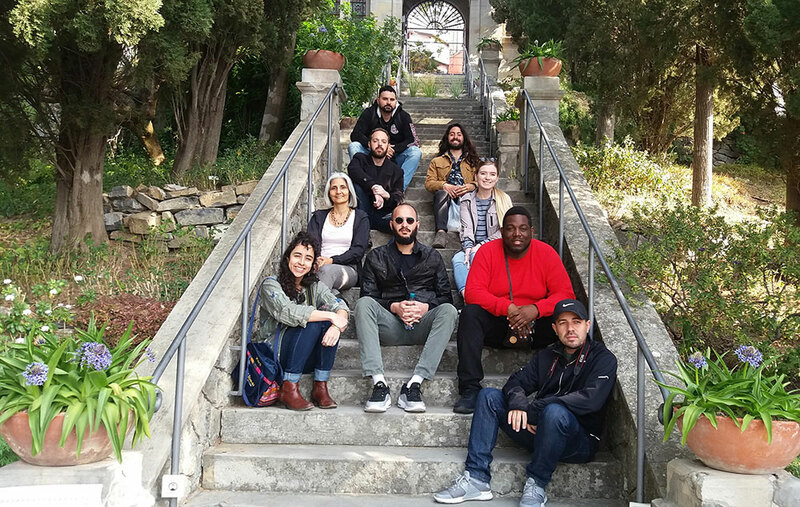 6 April: FIU Landscape Architecture students and Prof. Ebru Ozer visit the garden of Castello D'Albertis in Genoa. 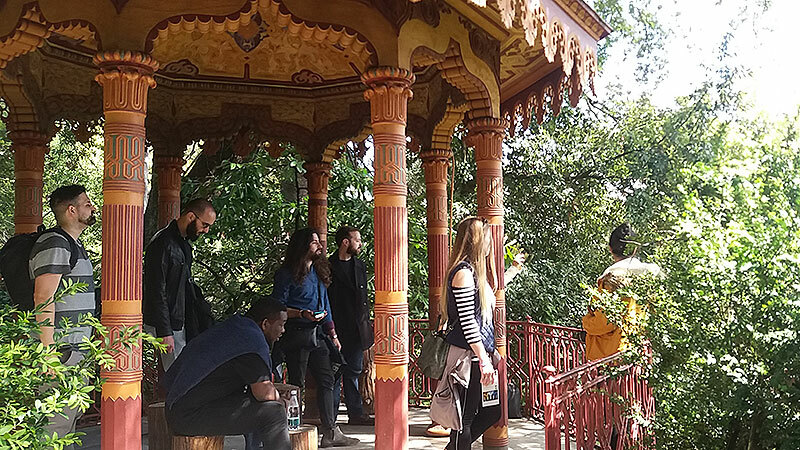 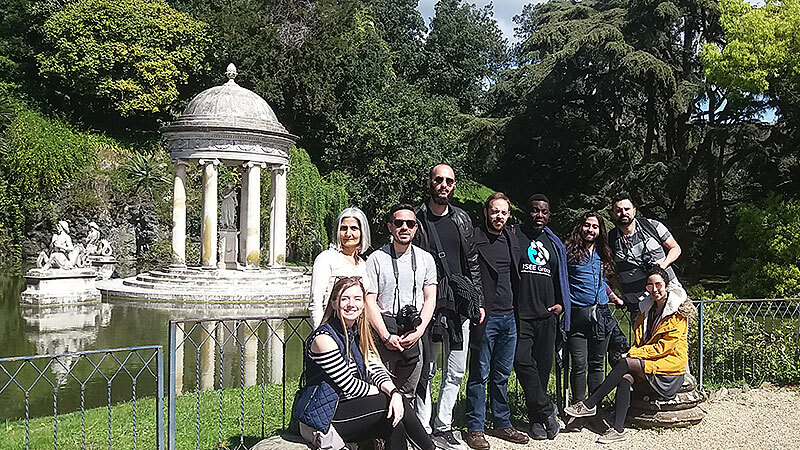 6 April: FIU Landscape Architecture students and Prof. Ebru Ozer tour the gardens of Villa Durazzo Pallavicini in Pegli-Genova. 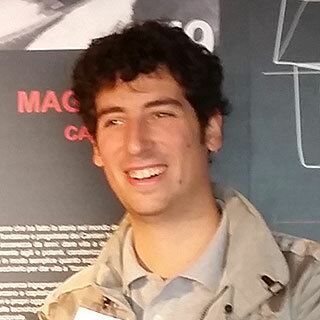 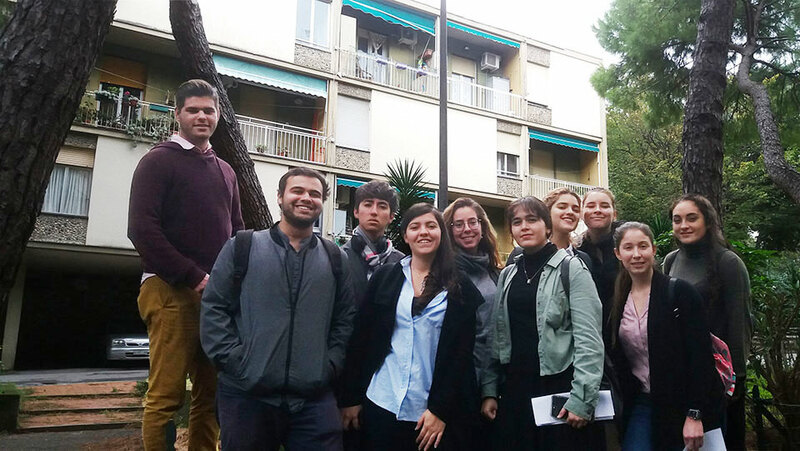 5 April: Students visit Milan office of OBR, where coprincipal Paolo Brescia explains current projects. 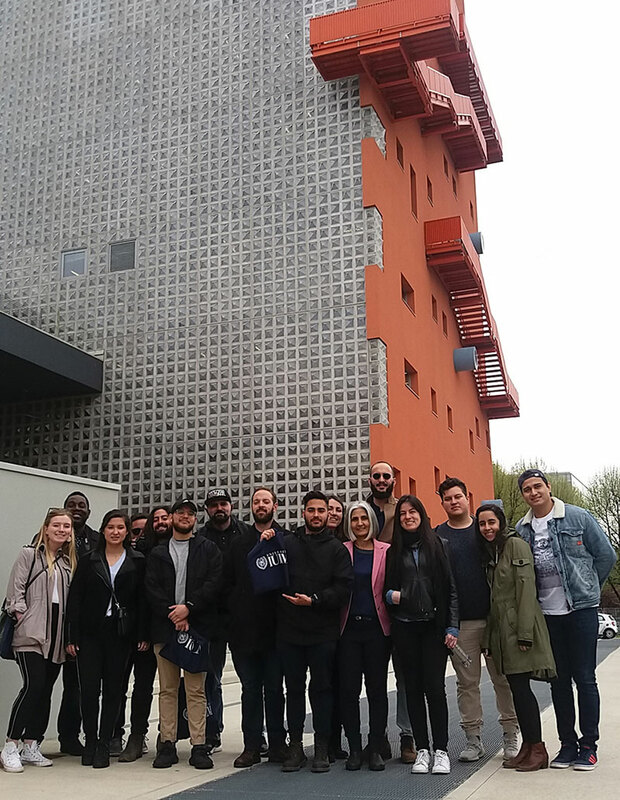 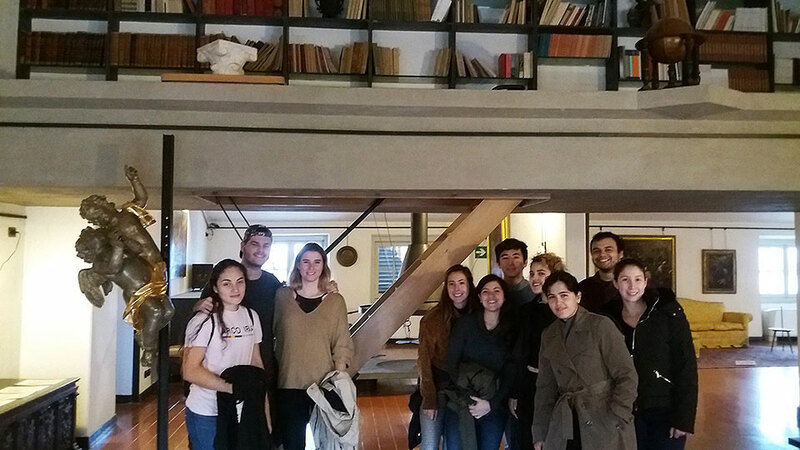 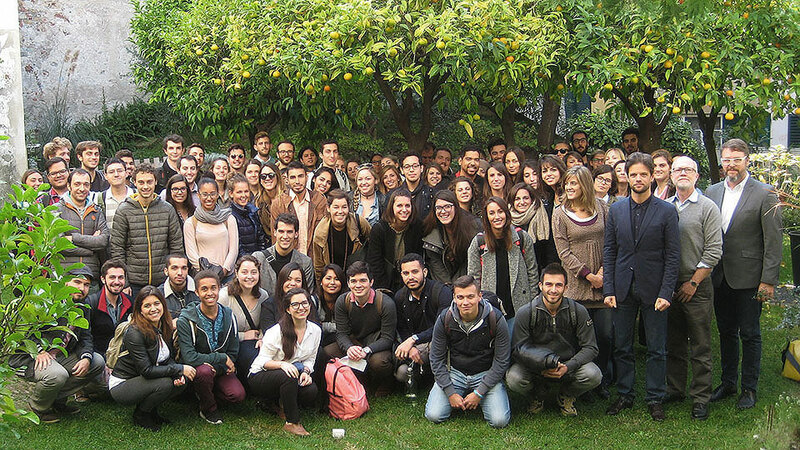 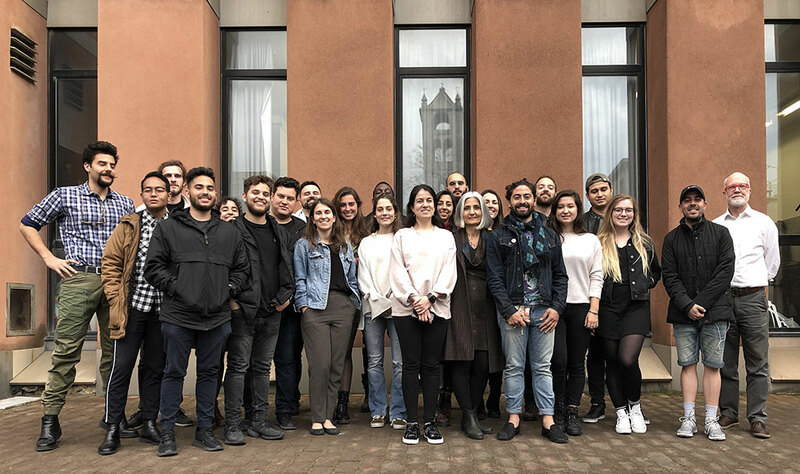 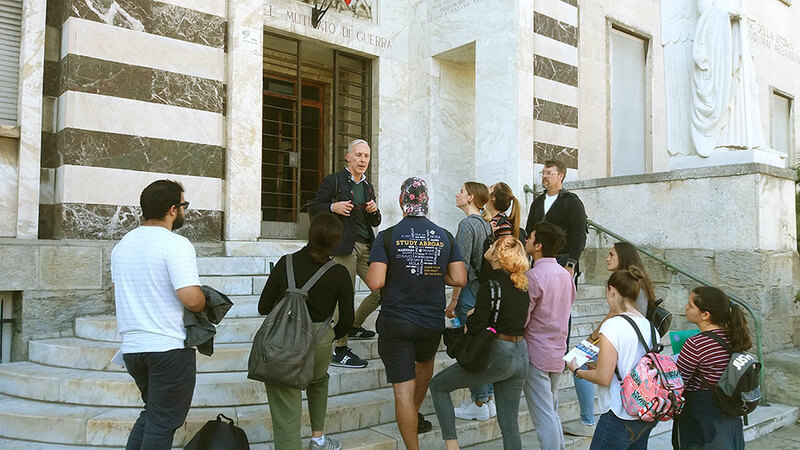 5 April: FIU Architecture and Landscape Architecture students with Prof. Ebru Ozer and Matthew Rice visit Milan and tour the buildings by Genoa architect Gianluca Peluffo on the campus of IULM (University for Languages and Media). 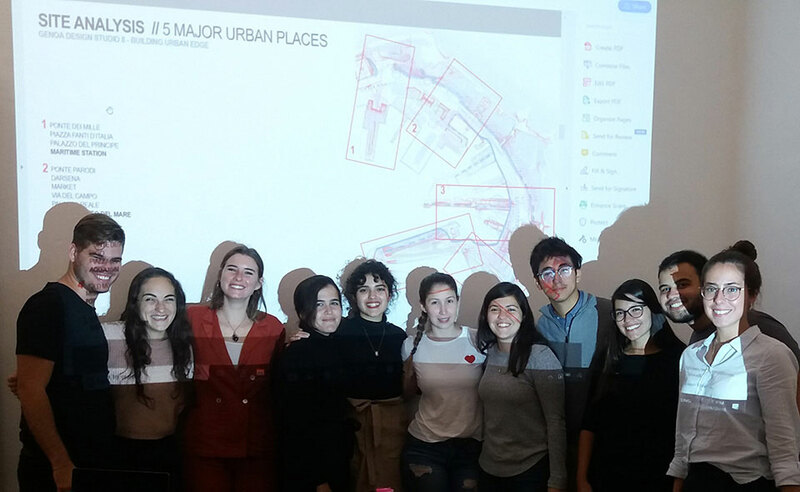 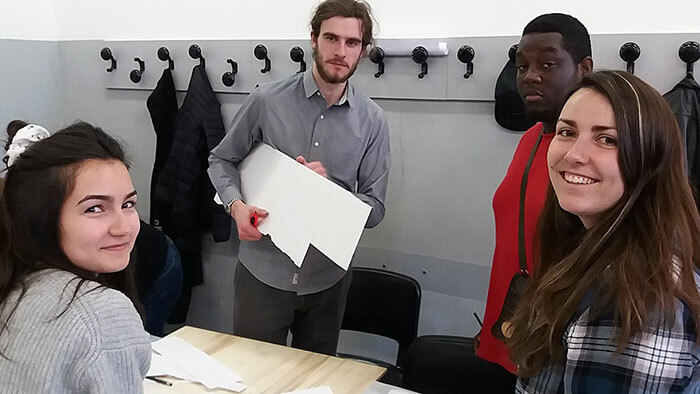 3 April: FIU architecture and landscape architecture students participated in a workshop with Italian and Erasmus students of the Unige department of architecture Coastal Design studio taught by Matthew Rice. 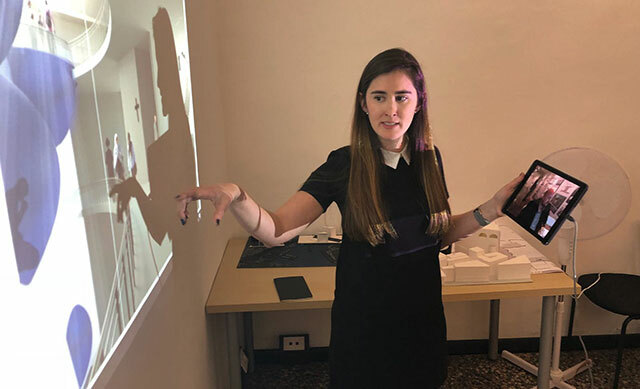 Ebru Ozer was guest critic. 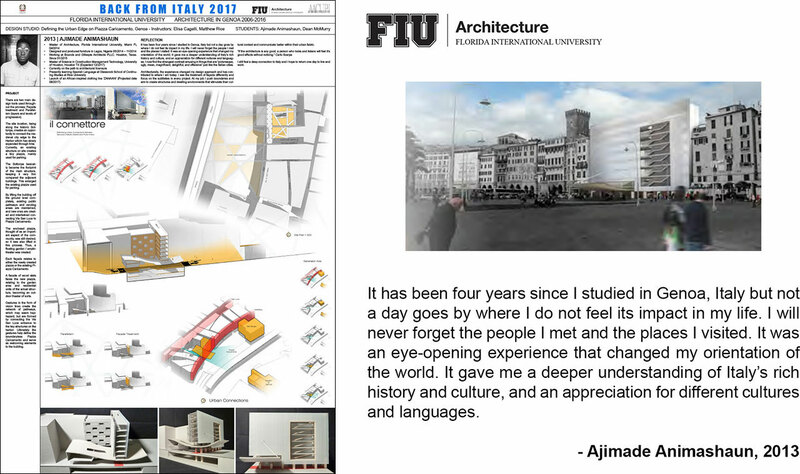 Different projects on the same site from both FIU and Unige studios were studied to develop systems of public space along the urban/port edge. 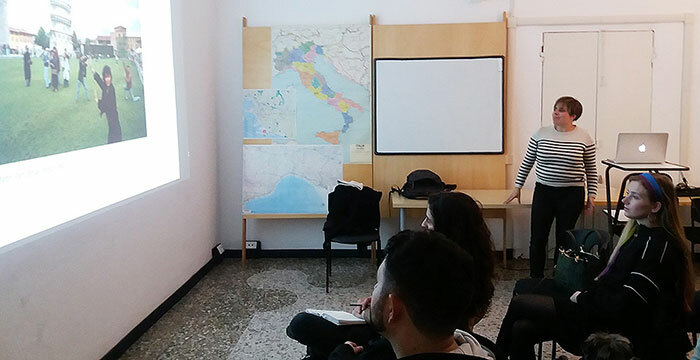 2 April: FIU Professor Ebru Ozer spoke to the Genoa Order of Architects on 'Green Infrastructure' and addressed the problem of storm water and flooding, with examples from both Miami and Genoa (much appreciated by the Genoese). 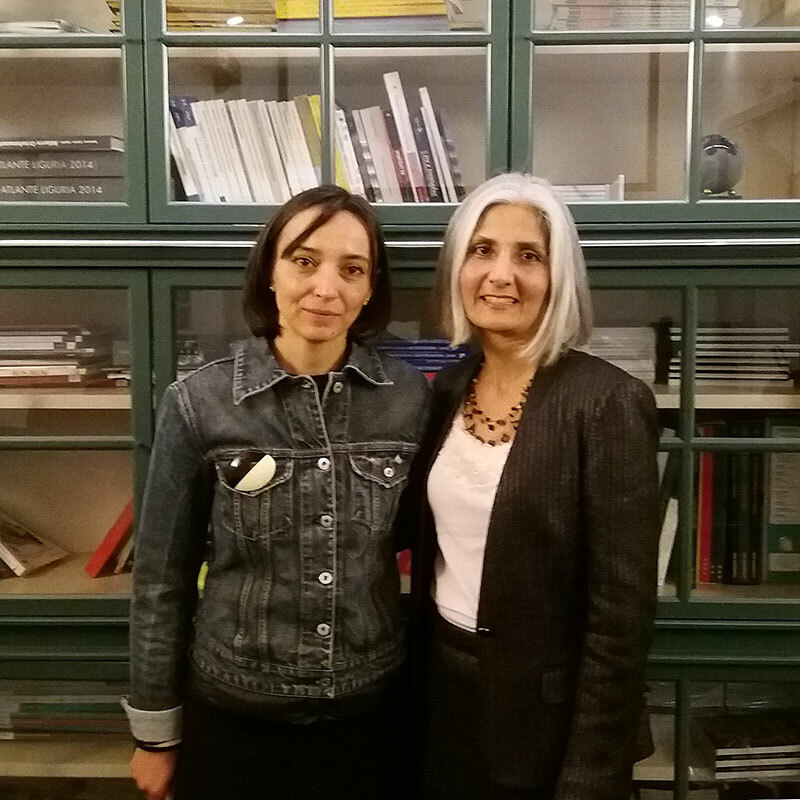 Here she stands with Elisa Cagelli (left) who organized the event and a group of local architects. 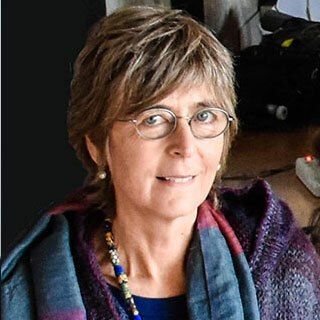 Darci Pappano in background. 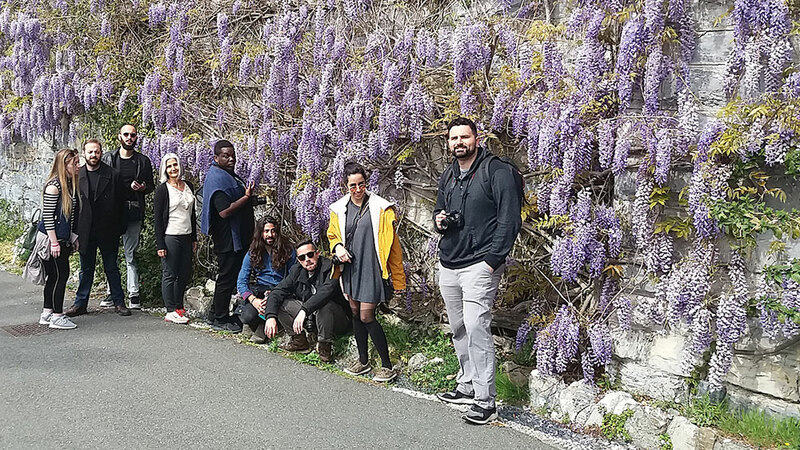 2 April: FIU Landscape Architecture students with prof. Ebru Ozer visit Hanbury Gardens at the western end of Liguria, an exceptional botanical garden established in the 19th century, now managed by University of Genoa. 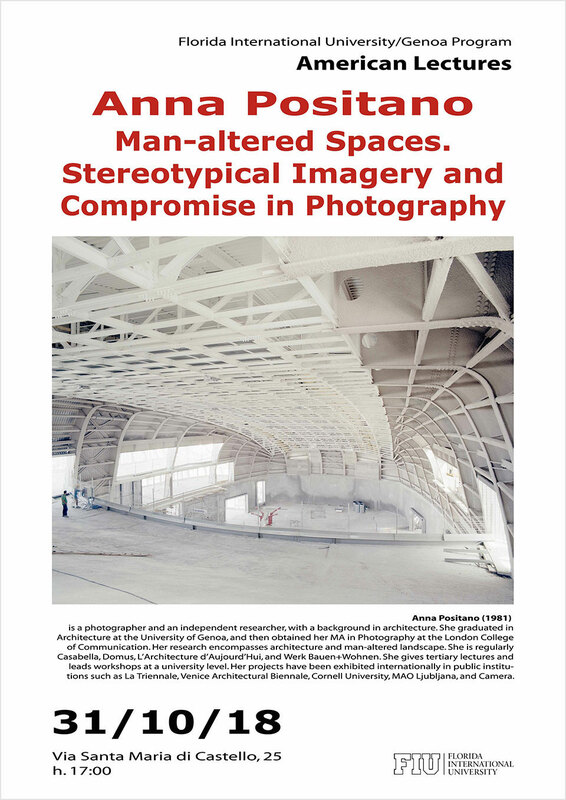 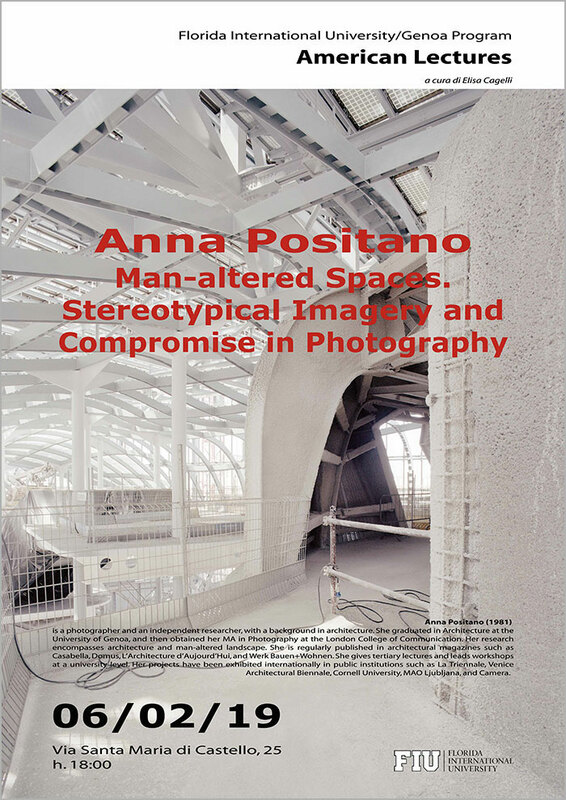 6 February: Architectural photographer Anna Positano returned to the FIU Genoa center to give a presentation on the difficulty of photography, how it lies, and the dialogue between image and architecture at the advent of Modernism and now. 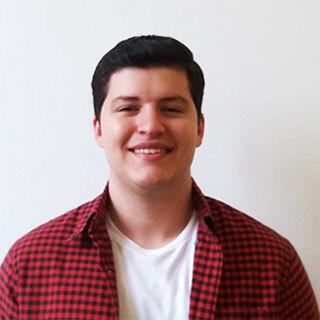 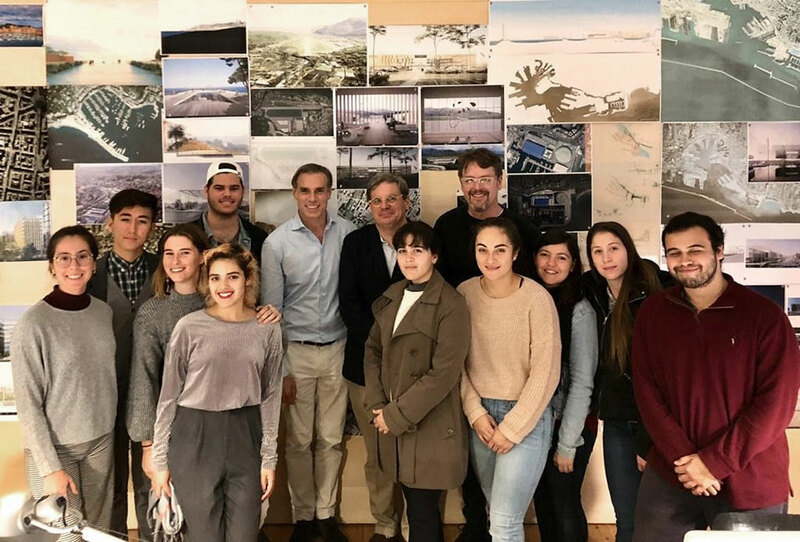 This Unige Department of Architecture and Design course taught by Matthew Rice will be working in collaboration with the spring 2019 FIU Architecture and Landscape Architecture studio taught by Eric Peterson and Elisa Cagelli. 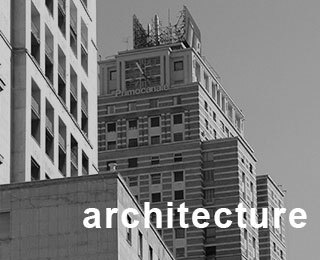 More news forthcoming. 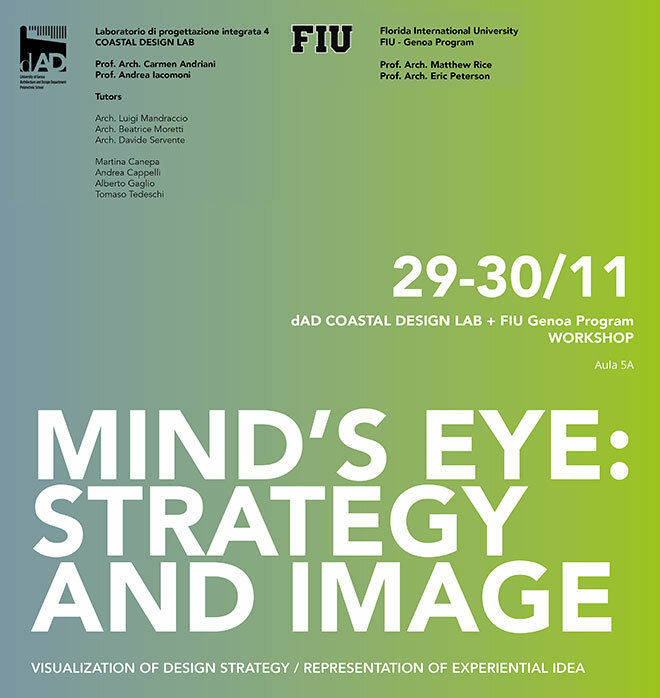 Unige-FIU workshop 'Mind's Eye: Strategy & Image' was held on November 29-30, 2018. 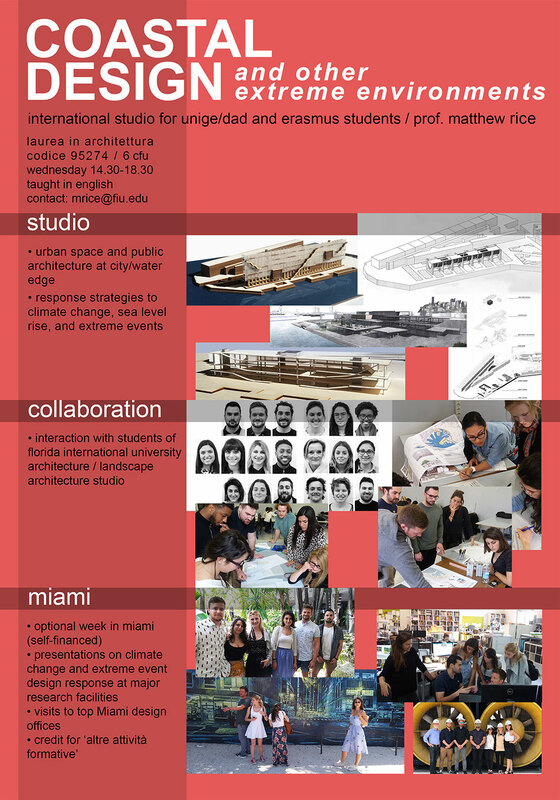 The theme was 'representation' of project 'image' and 'strategy' as an integral part of the design process, and involved both Unige-DAD professor Carmen Andriani's Coastal Design Lab, with Italian and Erasmus students from South America, Europe, Asia and Africa, and the FIU studio with Eric Peterson. 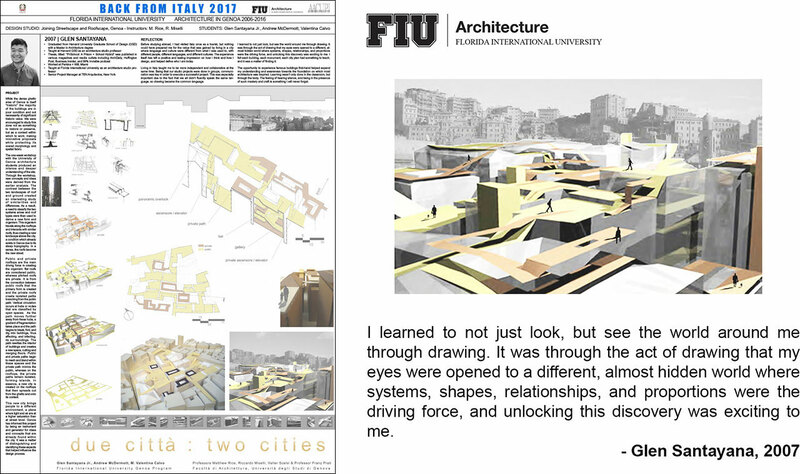 The analytic/schematic/digital representational work by the FIU architecture students to extract design strategies was based on buildings studied during academic travel for the Architecture of the XXth Century course lead by Silvana Herrera. 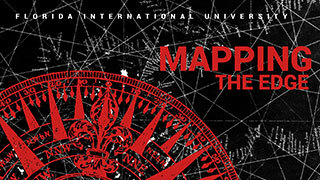 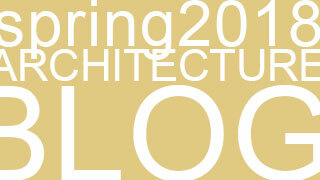 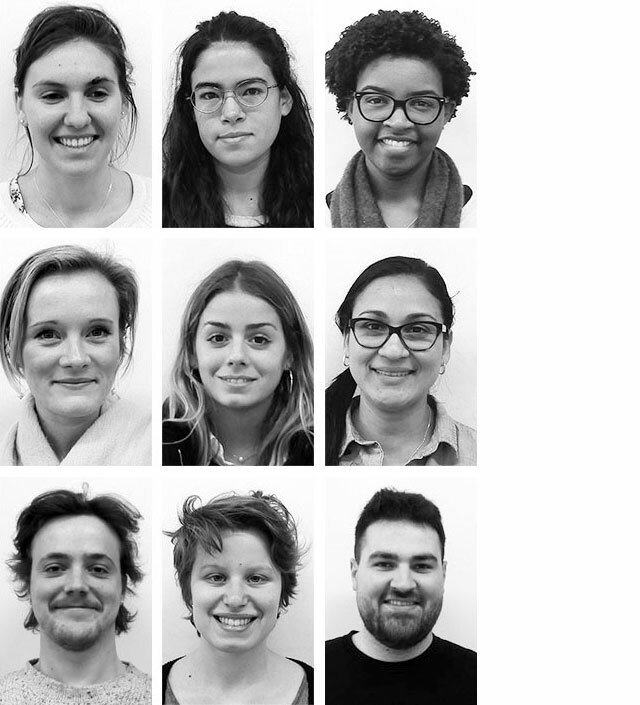 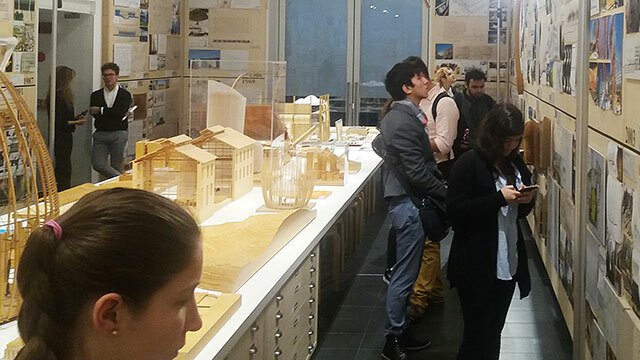 15-16 November: FIU architecture students are in Milan with Jason Chandler and Eric Peterson. 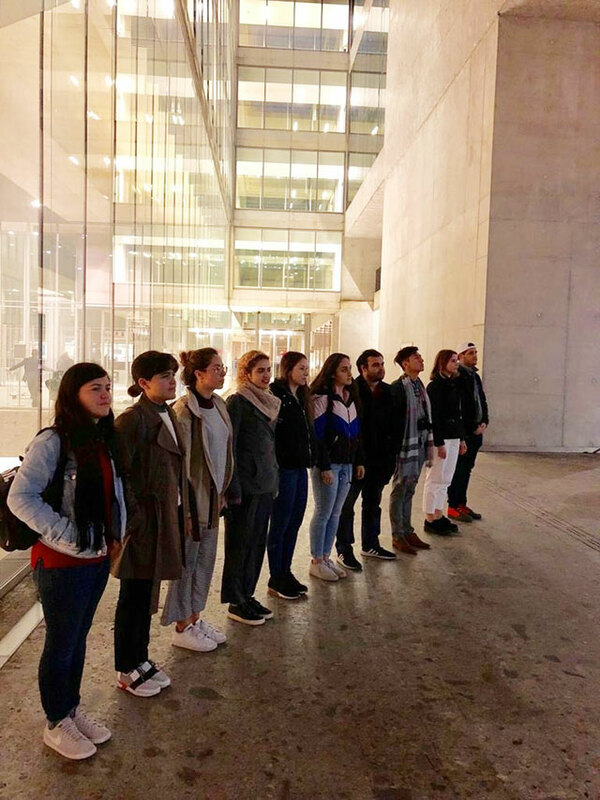 They visit numerous architectural sites including Aldo Rossi's Gallaratese quarter, the Bocconi building by Grafton Architects, the Prada Foundation by Rem Koolhaas, and the major urban spaces of Milan. 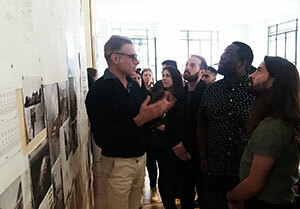 A highlight was the visit to the offices of OBR and meeting architect and principal Paolo Brescia, a valued collaborator with our program in Genoa. 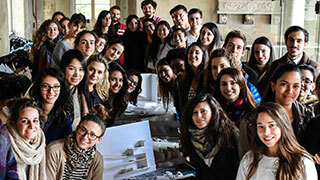 Students in the 'Grafton' building on the Bocconi campus, by Grafton Architects. 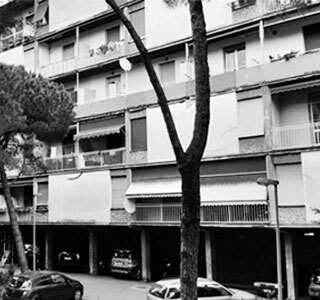 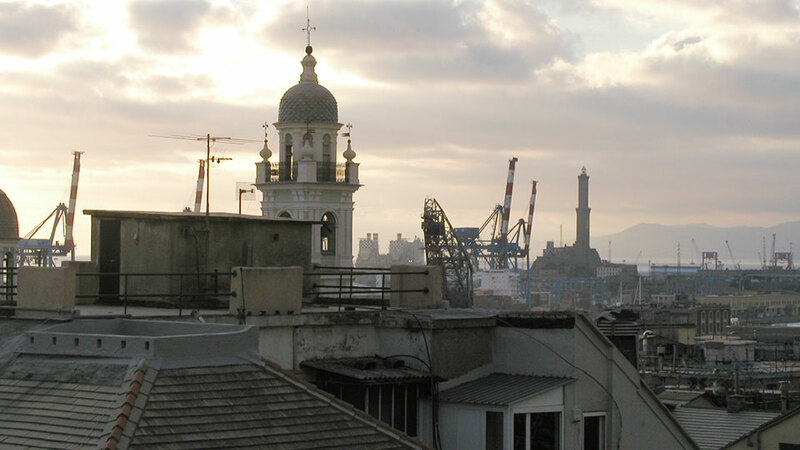 13 November: FIU architecture students and Jason Chandler tour postwar housing projects in Genoa, part of the reconstruction process of the city as an effort by the Italian state to provide affordable housing to workers to boost the economy. 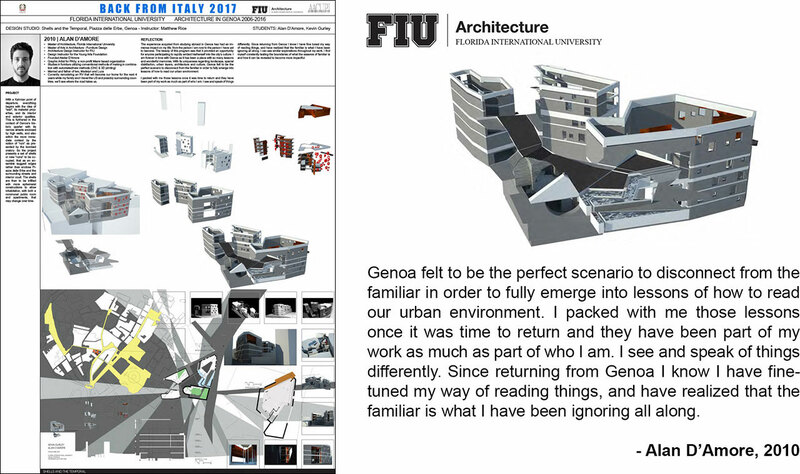 In the RPBW model archive, Jason Chandler and Giovanna Giusto on right. 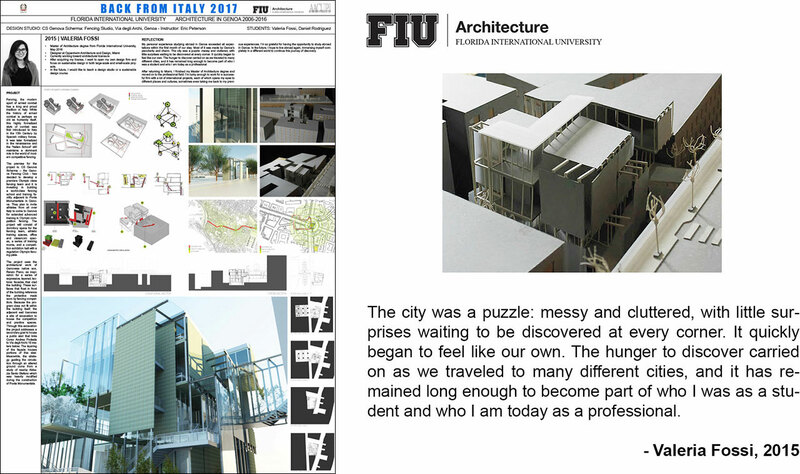 13 November: FIU chair Jason Chandler and architecture students visit Renzo Piano Building Workshop for presentation of current projects by Alessandro Pizzolato, and explanation of the office, archive and cultural/educational work by Giovanna Giusto. 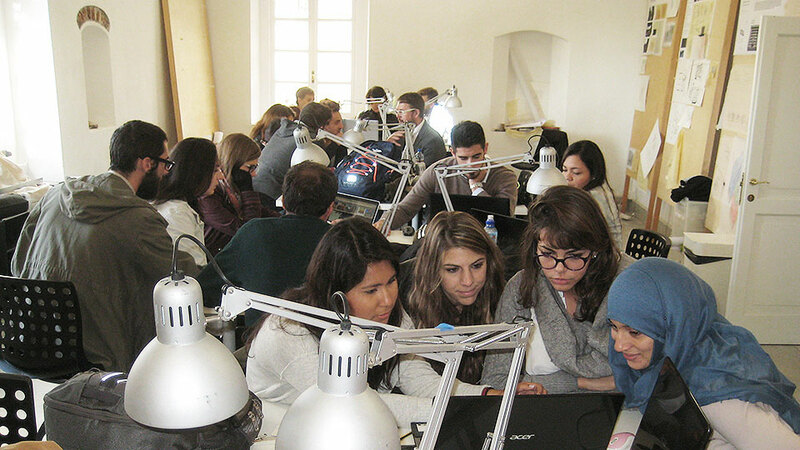 Students in the RPBW model archive. 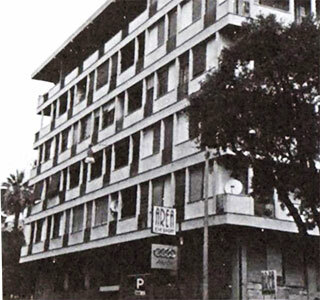 In the apartment designed by Franco Albini. 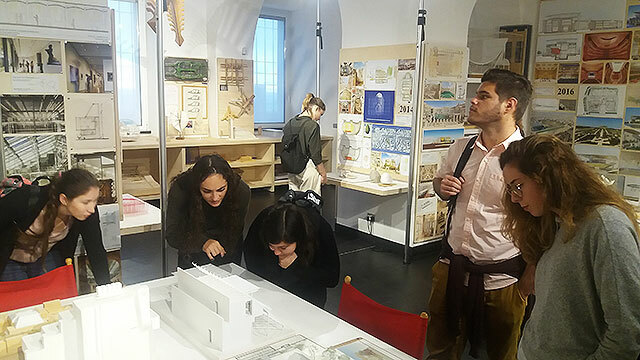 6 November: Continuing the study of modern Italian architect Franco Albini in Genoa, the students visited the Renaissance palaces Rosso and Bianco in Via Garibaldi to see his postwar restoration work and museum fittings, as well as the apartment of Caterina Marcenaro, the city official responsible for Albini's Genoa commissions. 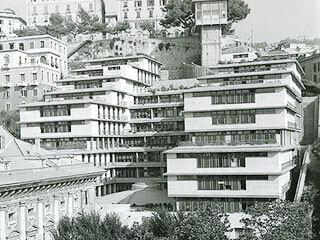 Also visited was the city offices building terraced up the hill behind Palazzo Tursi. 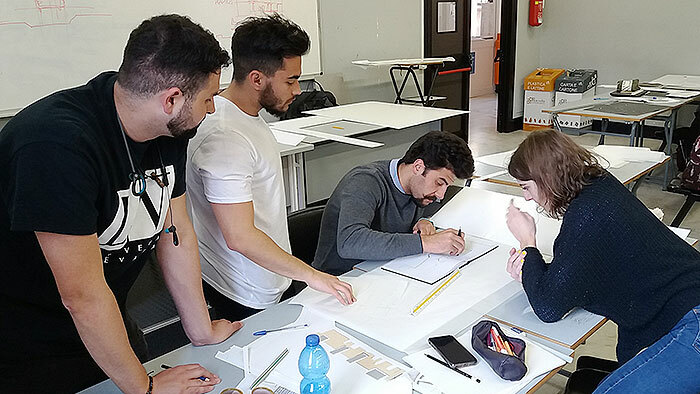 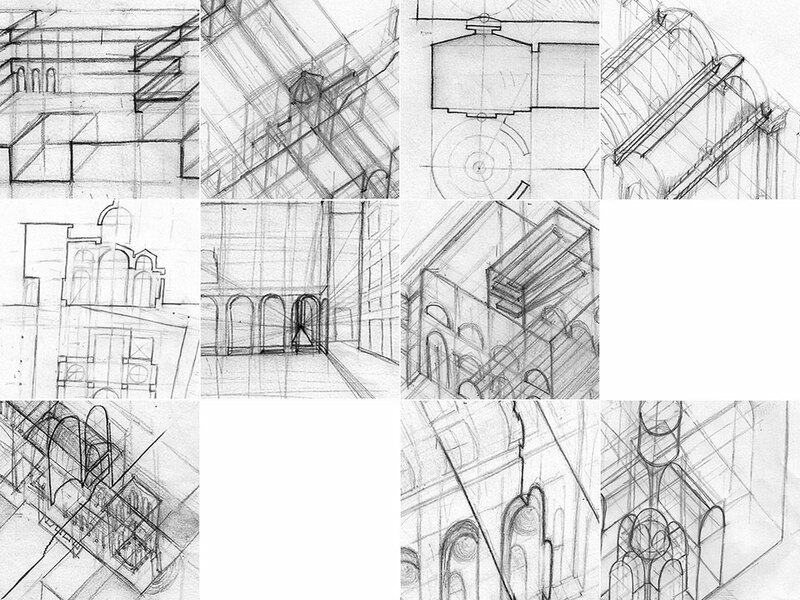 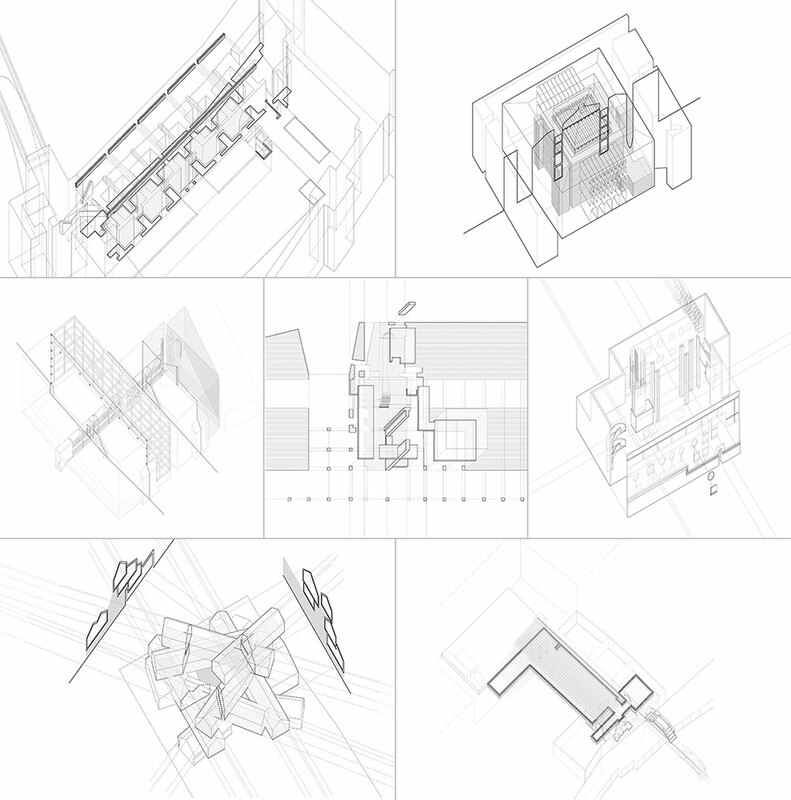 2 November: Details of student drawings for the Architecture of the City course, exploring aspects of a specific work of architecture in Genoa chosen by each student, at various scales and through different conventions. 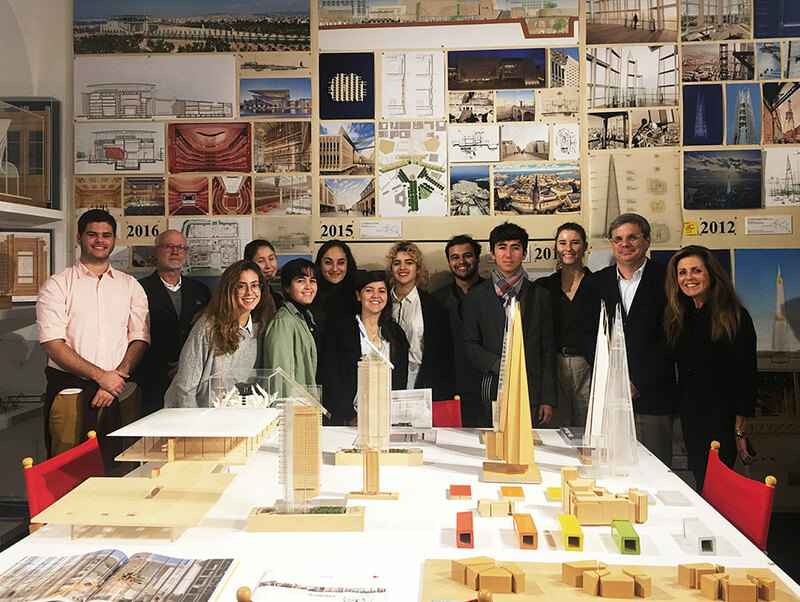 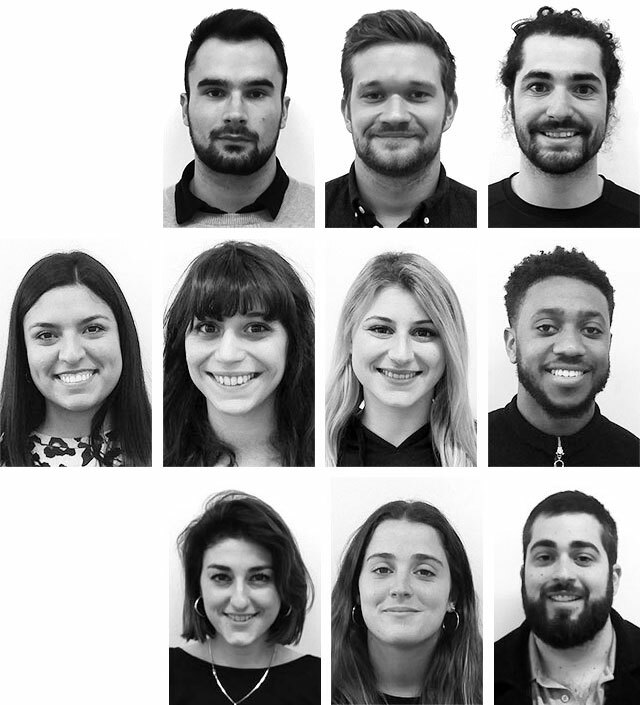 25 October: FIU architecture students visit Unige Prof. Carmen Andriani's studio to meet the Italian and Erasmus students and see a presentation of their studio project on the Val Polcevera and the collapsed Morandi bridge. 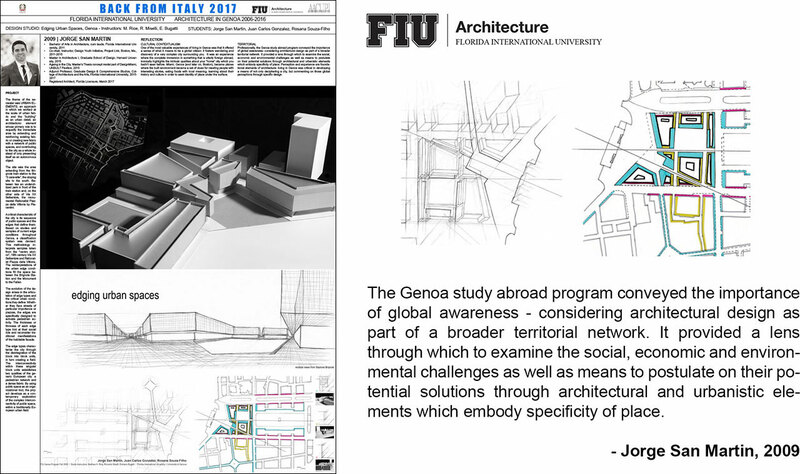 The FIU students presented their work for a public building/cruise terminal on the Molo in the port of Genoa. 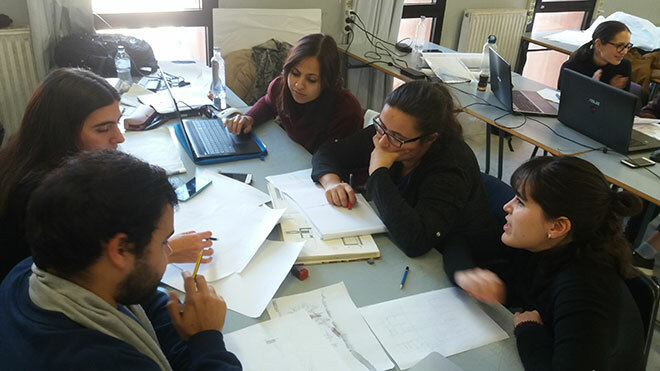 On 29 & 30 November the two studios will have a collaborative workshop on architectural representation of design strategy and project 'image'. 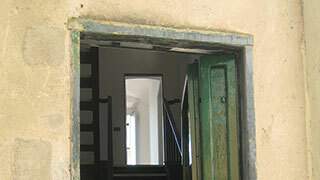 Above the town of Vernazza. 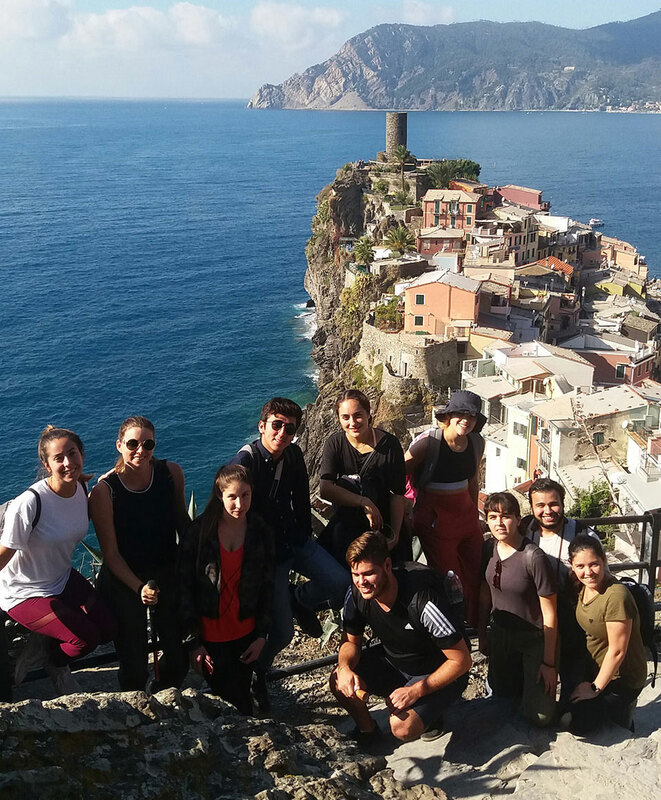 24 October: FIU architecture students hike the Cinque Terre, a splendid sequence of five towns on the Ligurian coast, connected (for the most part) by beautiful hiking trails through olive groves and vineyards, with views of the sea. 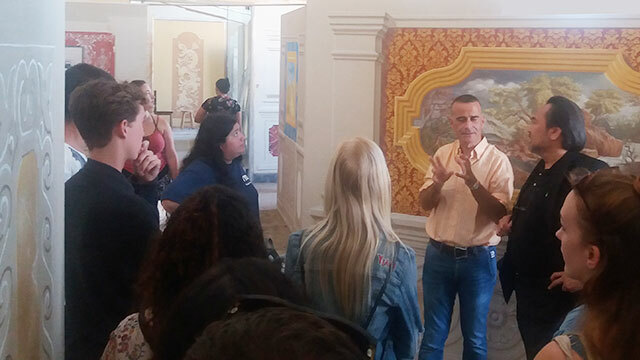 23 October: Wolfsoniana curator Gianni Franzone conducts a tour of Italian Rationalism in Genoa, here at the Casa del Mutilato (Home for Disabled Veterans) by Eugenio Fuselli. 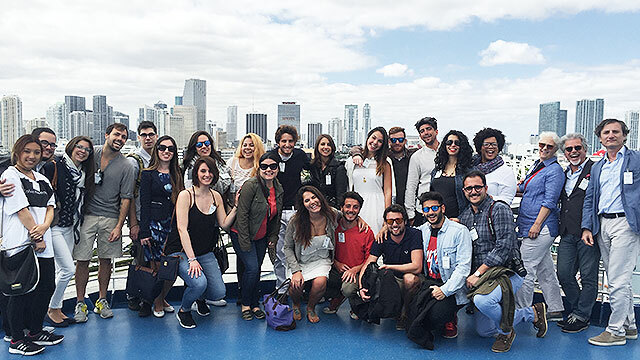 4 October: The Design 8 Architecture students participated in a reciprocal online review of their port analysis and schematic design approaches with Claudia Busch's Design 10 studio with a cruise ship terminal project in the Miami port. 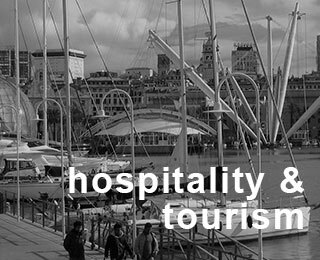 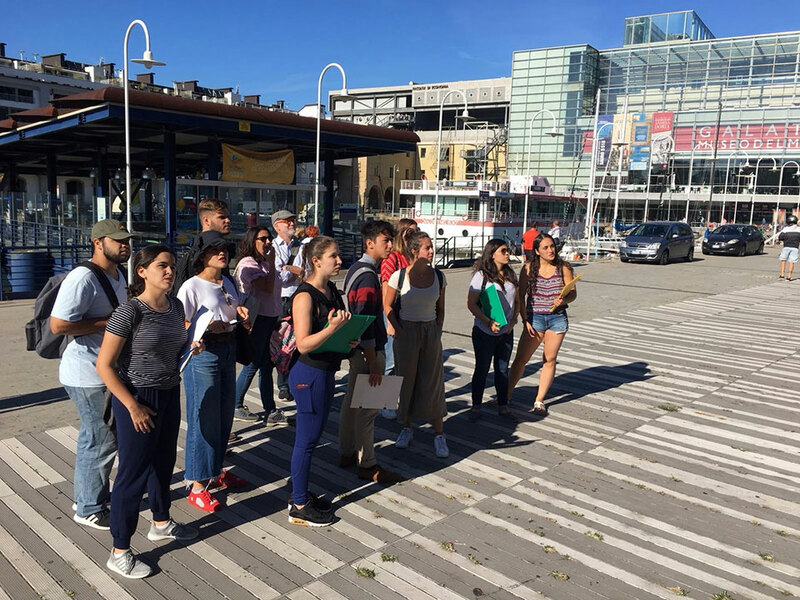 25 September: The Architecture students tour the port with Unige Prof. Adriana Ghersi, here at the Darsena near the 'Galata Museo del Mare', to understand the city and in preparation for their studio project. 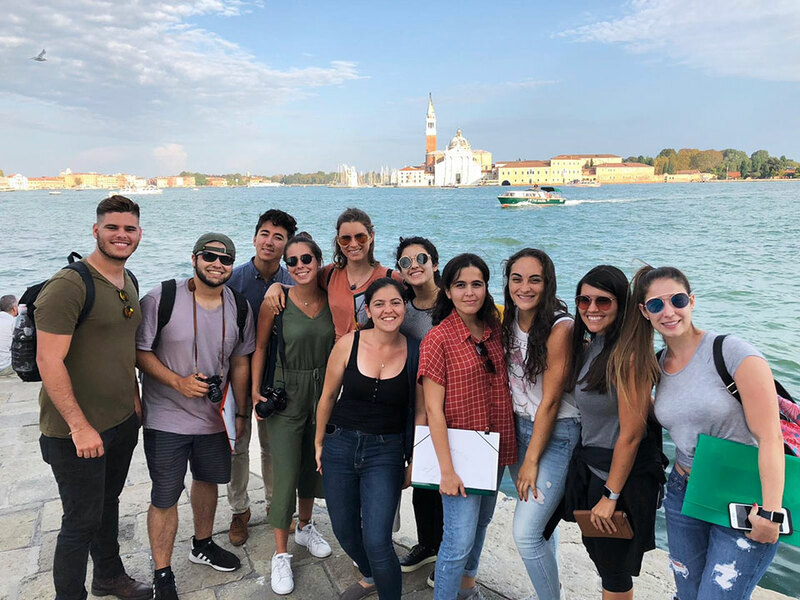 17 - 21 September: The Architecture students are in Venice for the first stage of their tour of Northeast Italy, first in Venice, then a tour of the Veneto with a stop in Vicenza, and ending with a day in Verona. 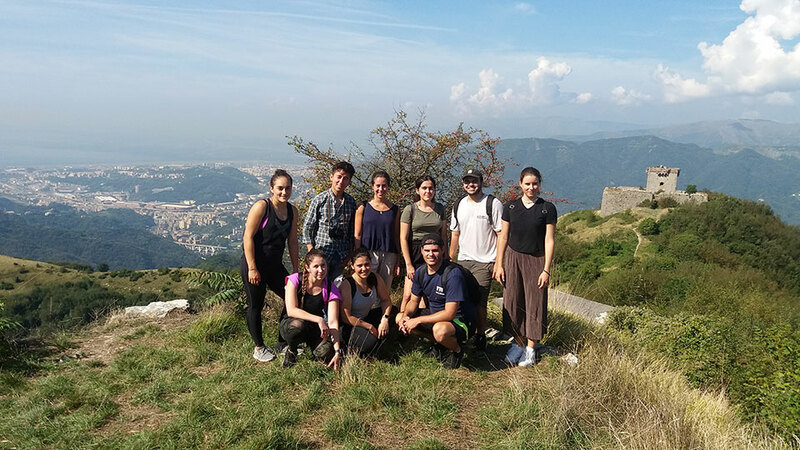 Sunday 9 Sept: The architecture students hike the hills to see the walls and forts that once protected Genoa, here with Genoa and its ports in the background to the left, and Forte Fratello Minore (Little Brother) on the right. 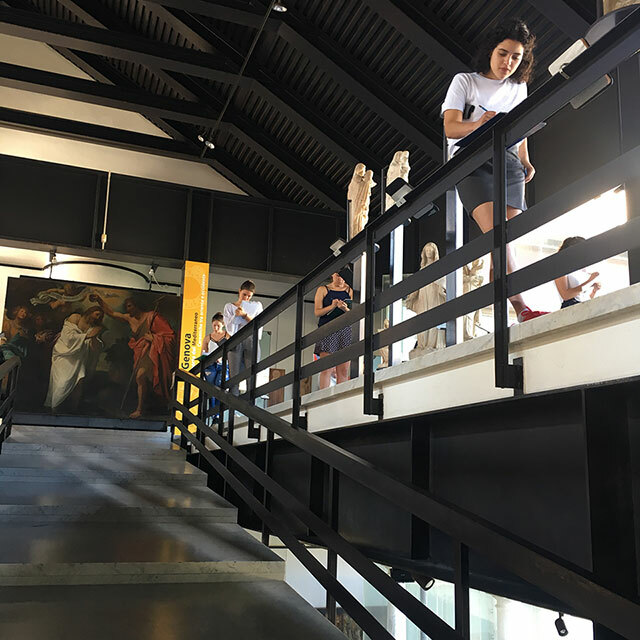 Sunday 12 Sept: The architecture students head back to the Museo di Sant'Agostino for another pass at the architecture of Franco Albini. 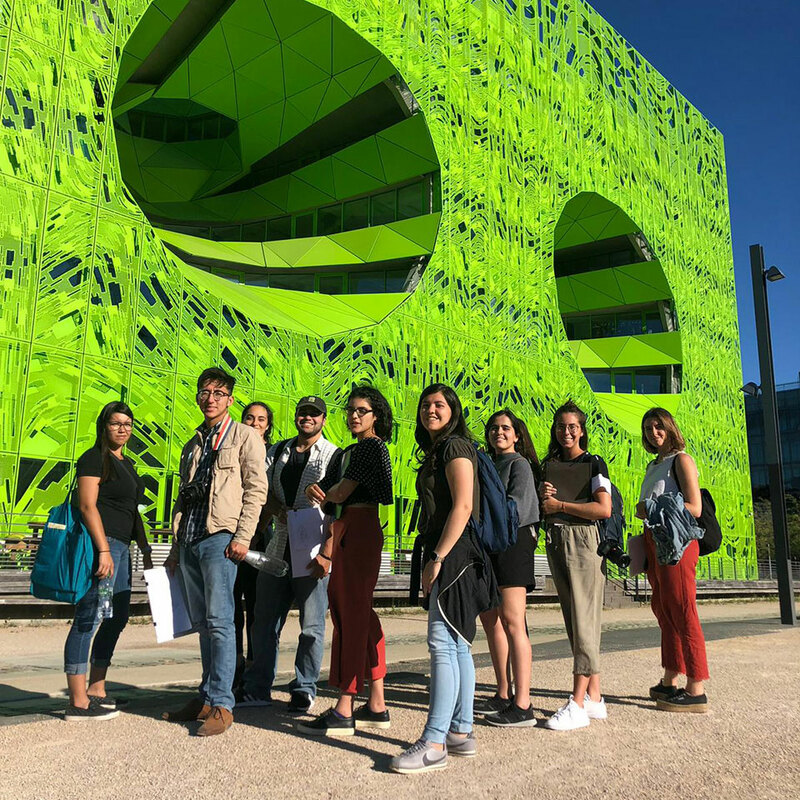 The group in front of Euronews building by Jakob + MacFarlane. 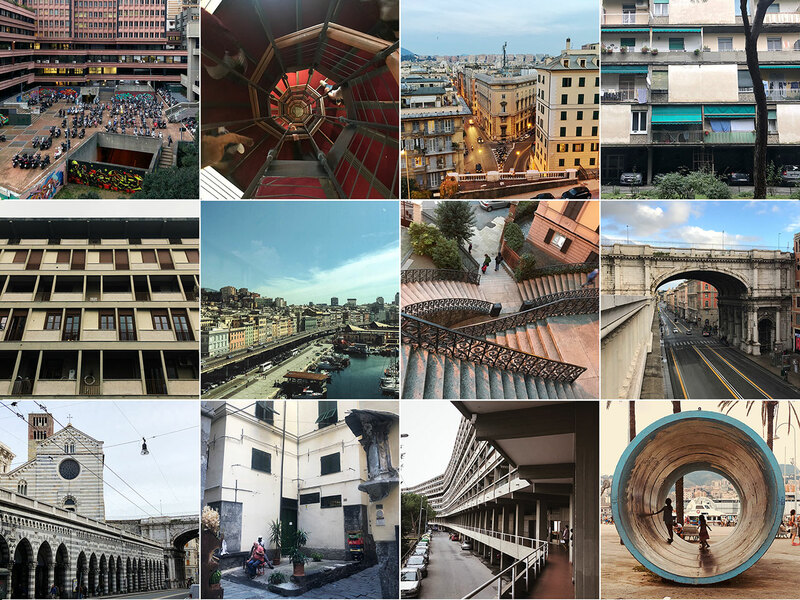 The Fall 2018 Architecture in Genoa group was on the road August 26 - September 1 to study cutting-edge contemporary architecture and classic modern works, as well as major examples of large scale urban transformation, in France Switzerland and Germany, under the direction of Prof. Silvana Herrera. 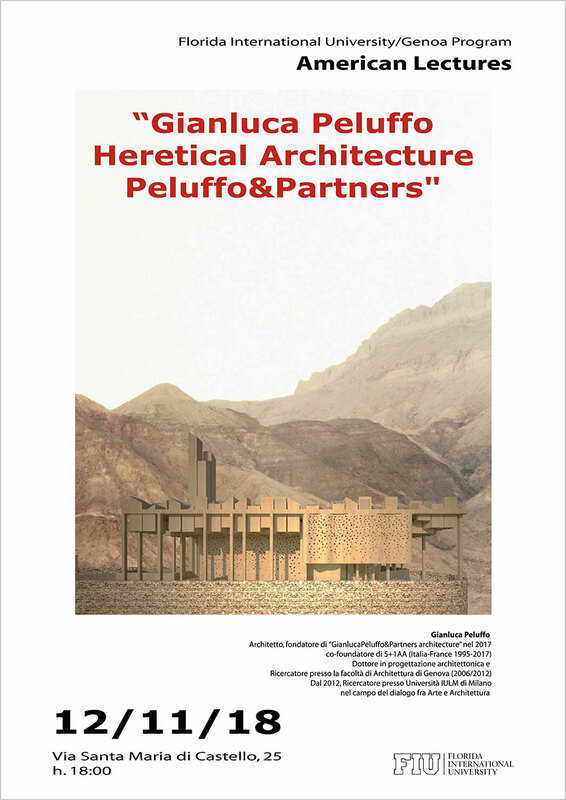 12 November: Architect Gianlucca Peluffo speaks to the students, with Jason Chandler present from Miami, about his design philosophy and built works across Italy and beyond. 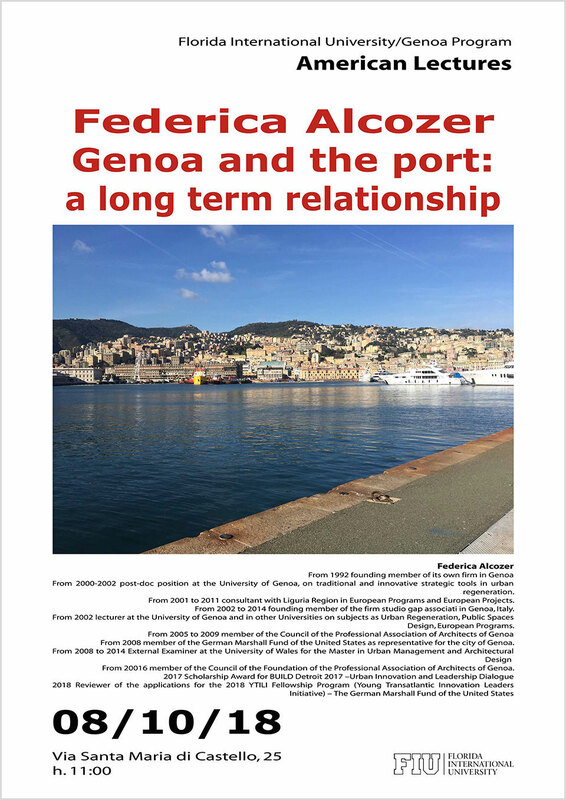 31 October: Architectural photographer Anna Positano presented a brief history of major architectural photographers and explained her work on the everyday of life and spaces, and the impact on her work from growing up in Genoa..
8 October: Prof. Federica Alcozer explained the relationship of Genoa's port with the city, and current plans for urban, port and coastal development in Genoa and nearby areas in Liguria. 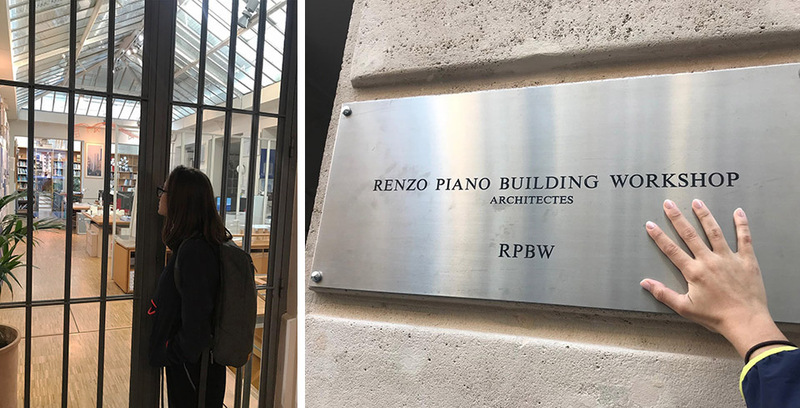 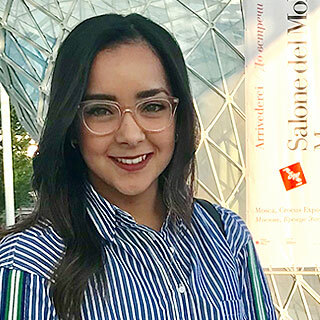 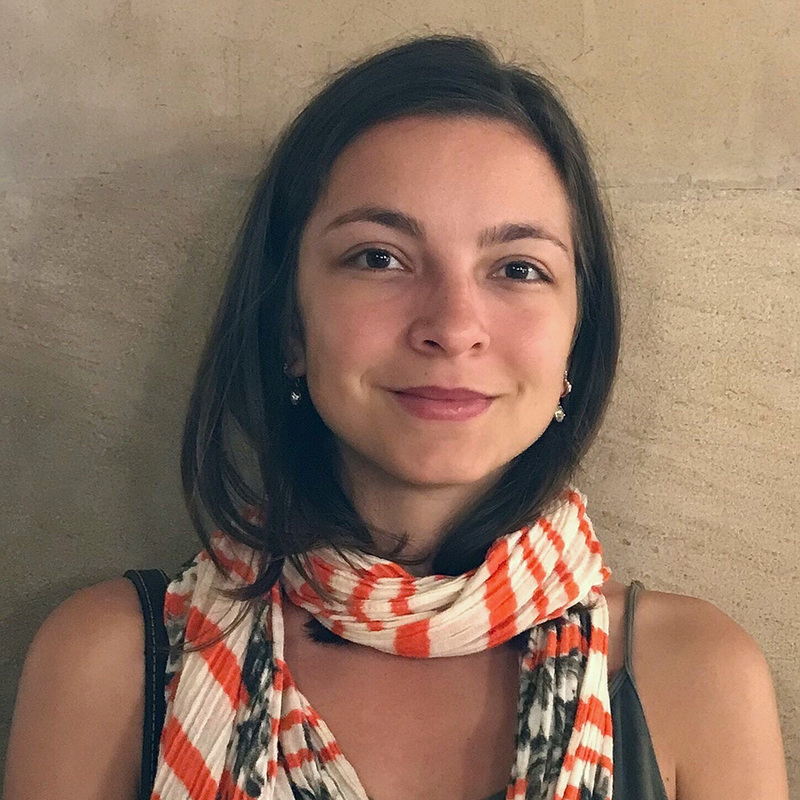 FIU Architecture student Camila Lohezic begins her six-month internship at the Paris office of Renzo Piano Building Workshop. 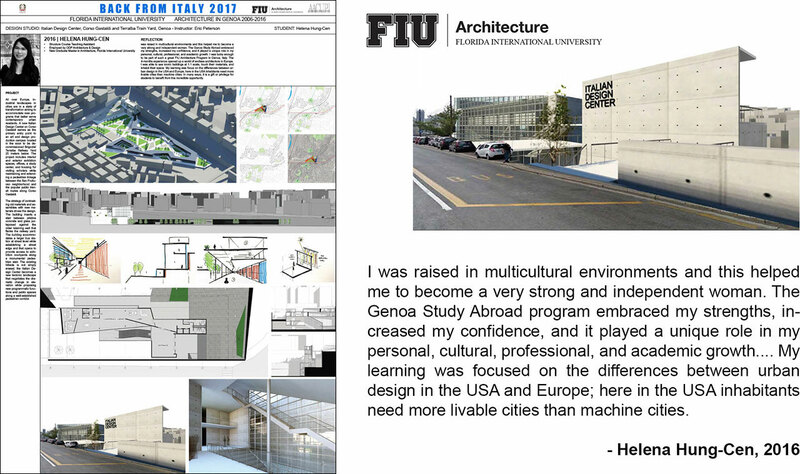 In 2016 an EU Erasmus Plus KA 107 Mobility Grant was awarded to Unige Department of Architecture + Design (DAD) to fund reciprocal student exchange (one semester) and faculty exchange (one month) with Florida International University for the 2016-2018 academic years. 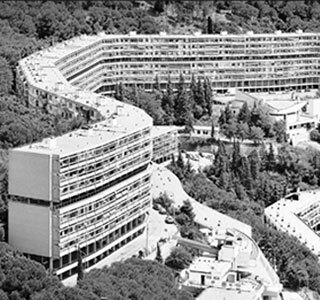 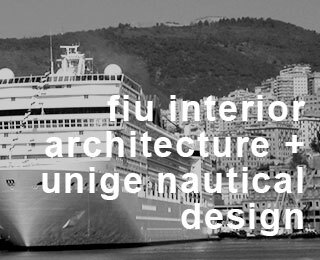 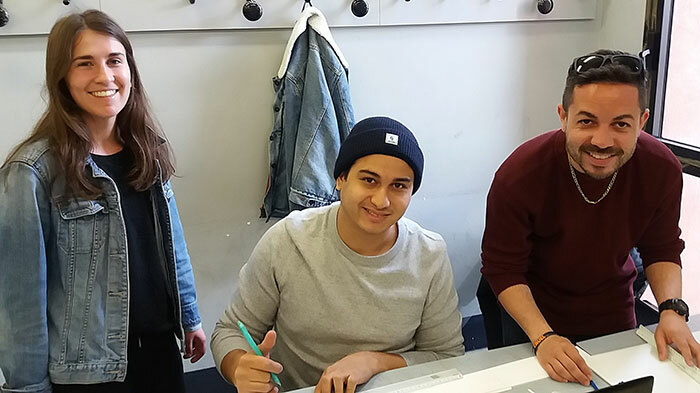 JULY 24 2018: ERASMUS PLUS EXCHANGE FUNDING RENEWED FOR TWO MORE YEARS, 2018-2020, FOR STUDENTS AND FACULTY OF UNIGE ARCHITECTURE & NAUTICAL DESIGN AND FIU ARCHITECTURE AND INTERIOR ARCHITECTURE. 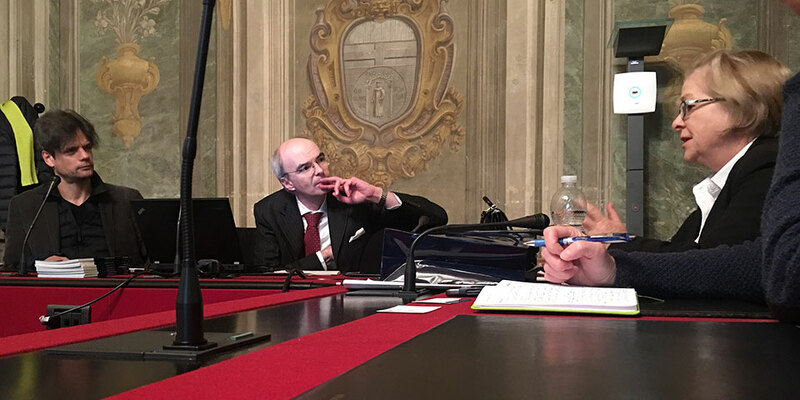 Prof. Fabrizio Barberis, Prof. Azizinamini and Prof. Giorgio Roth, Director of the Departiment of Civil, Chemical and Environmental Engineering - DICCA (l-r). 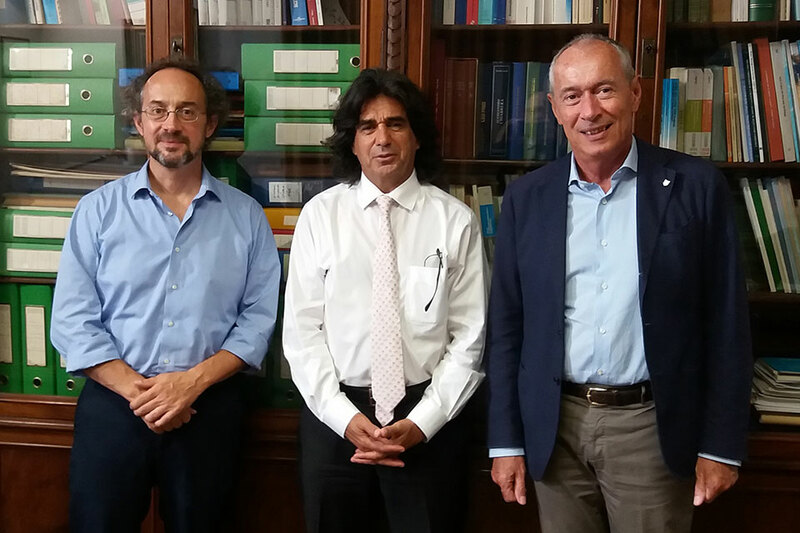 FIU's Dr. Atorod Azizinamini, Professor and Chair of the Civil and Environmental Engineering Department, was in Genoa on Monday 17 September to meet Dean Aristide Massardo and members of the Unige Scuola Politecnica and its Department of Civil Engineering. 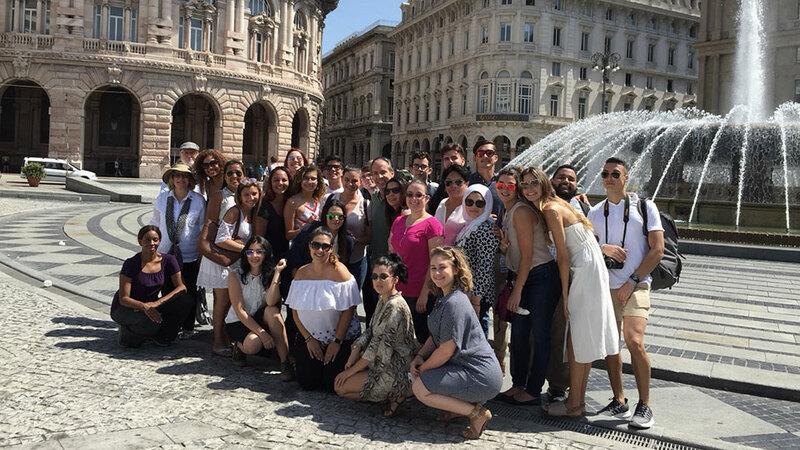 FIU Business School's Marketing Mediterranean Cruise (June 27 - July 7) under the direction of Elisabeth Beristain and Tim Birrittella made a stop in Genoa to meet with the Genoa Port Authority, see the workings of the port by boat, and then have a tour of the city, while discussing the role of cities to market themselves for business and tourism in a way that benefits development without damaging local culture and context. 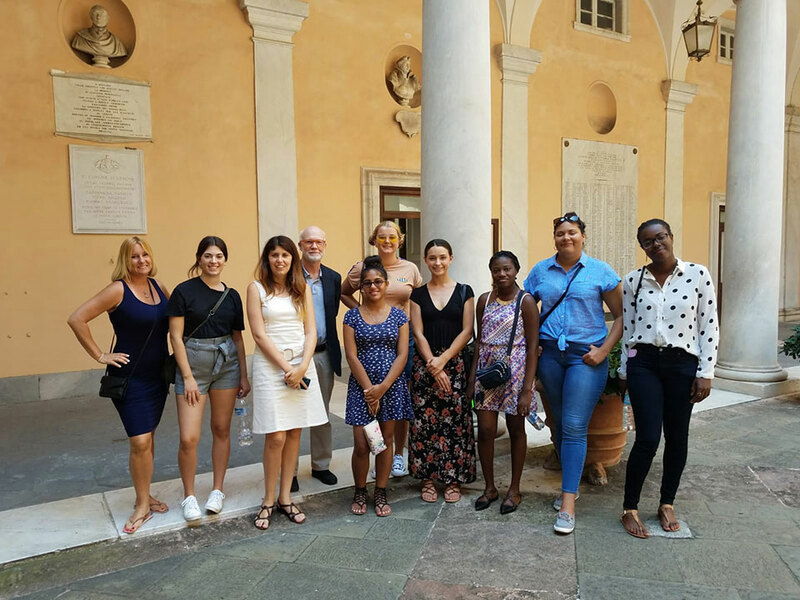 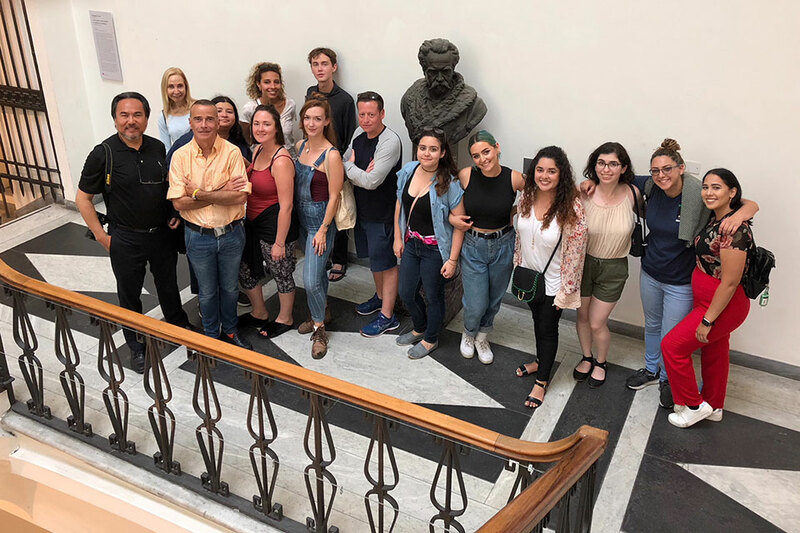 FIU Art Department chair Prof. David Chang brought his 'Italy through Art - Summer 2018' program through Genoa for the first time. 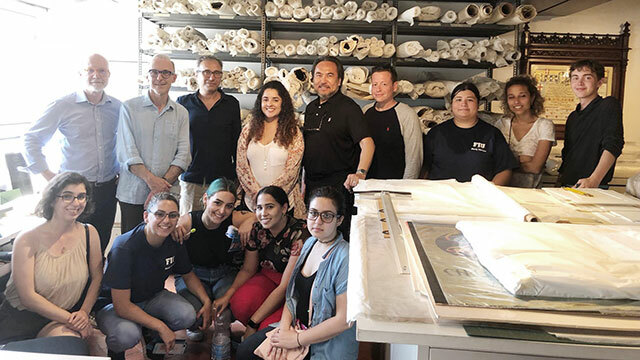 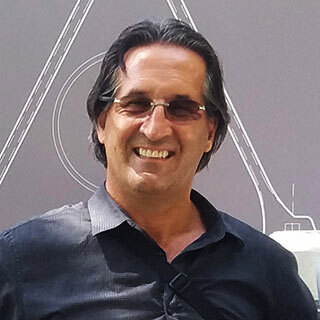 Guido Fiorato, Director of the Ligurian Academy of Fine Arts, met the group to explain the institution's approach to art and teaching, as well as its history as one of the oldest art academies in Italy. 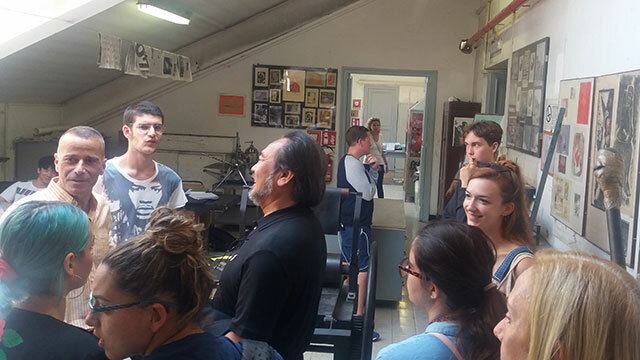 He then gave the students a tour of the various departments and studios. 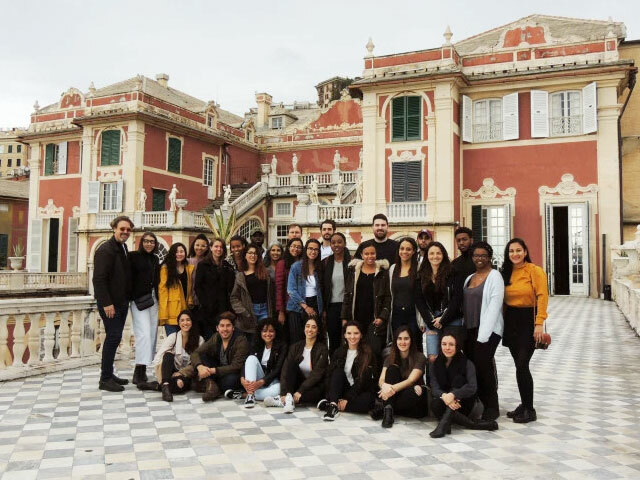 The students saw the major artistic and cultural sites of Genoa and visited Cambi Auction House in Castello Mackenzie, formerly the property of Micky Wolfson, and the Wolfsoniana Study Center in Palazzo Ducale, with curators Matteo Fochessati and Gianni Franzone. 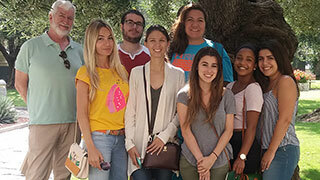 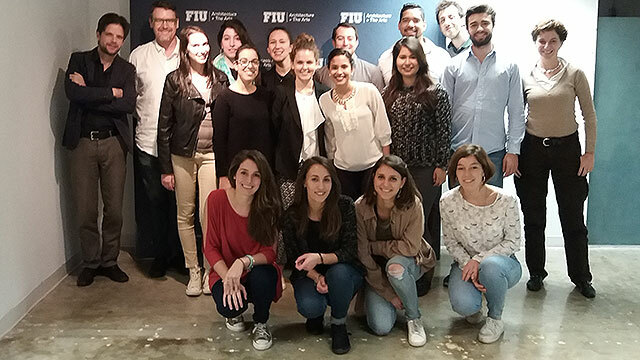 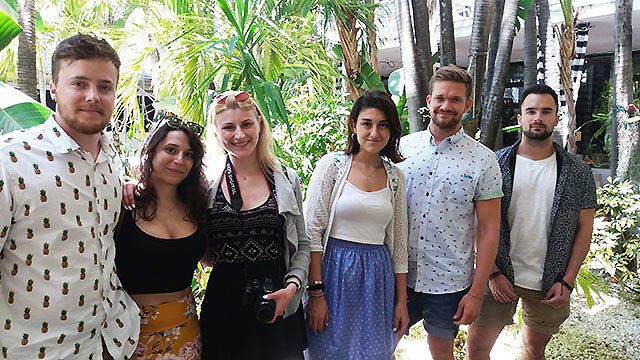 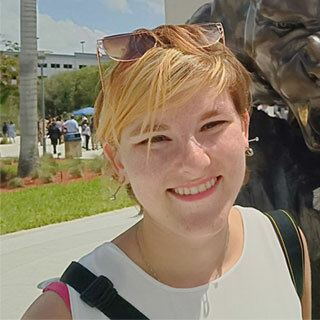 Architecture students from University of Genoa Unige) and Erasmus students from Belgium, France and Germany came to FIU and Miami to learn about research and design responses to extreme events and climate change. 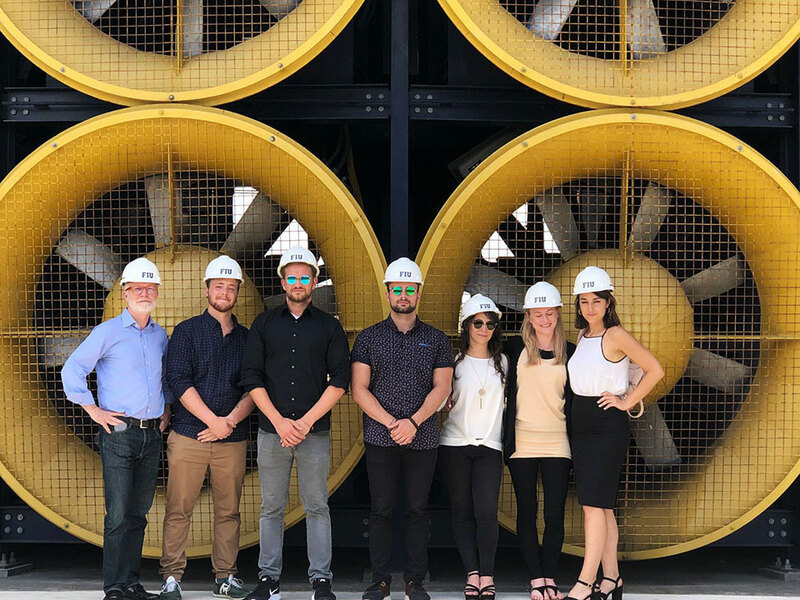 Visits were made to the Sea Level Solutions Center at MBUS, the Extreme Events Institute and its Wall of Wind testing facility, the FIU School of Architecture and numerous buildings and design offices in Miami. 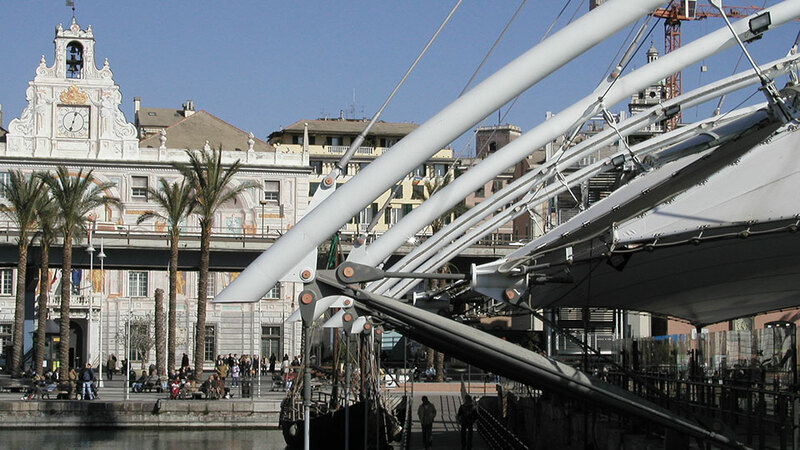 An FIU delegation lead by Vice Provost for Global Affairs Meredith Newman came to Genoa February 25-28 to explore new levels of collaboration and program development with the University of Genoa (Unige) and the city of Genoa. 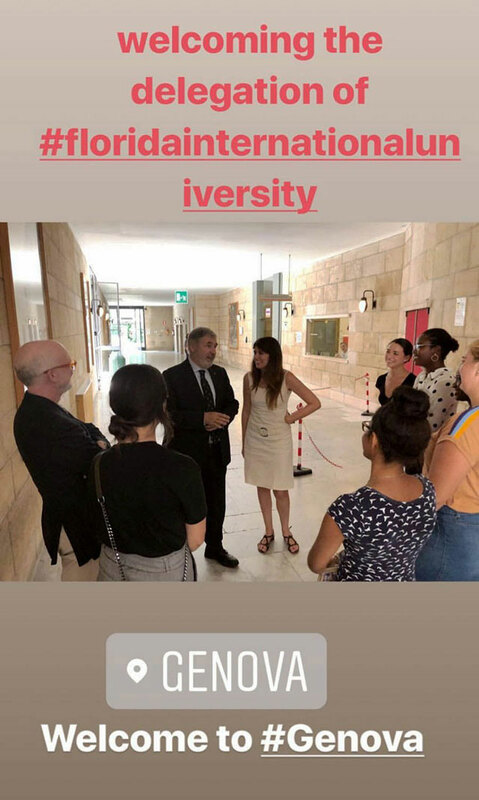 The delegation met with Unige Prorettore for International Relations Andrea Trucco to discuss the many things accomplished between our institutions, including the Erasmus Plus grant to fund faculty and student exchange. 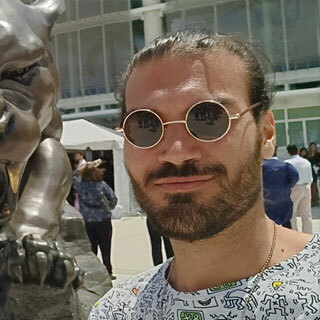 Dr. Newman explained FIU's vision for deeper collaboration, and Prof. Trucco expressed Unige's support for developing exchange and research opportunities. 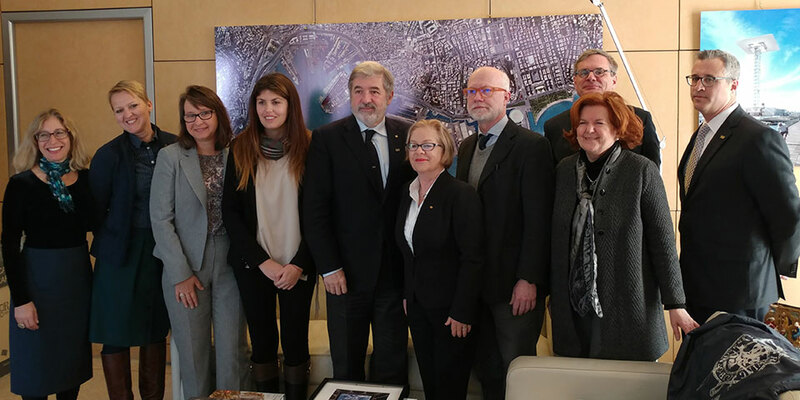 The group had a meeting with Mayor Marco Bucci and Assessore Elisa Serafini to discuss a deeper relationship between FIU and the city of Genoa. 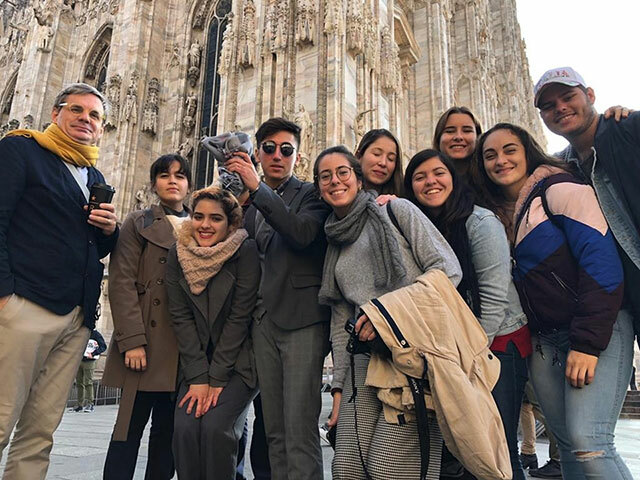 Mayor Bucci explained his deep commitment to increasing the presence of US universities in Genoa as a way to revitalize and internationalize the city, and pledged his support for FIU's efforts. 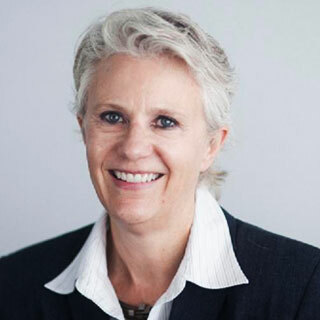 US State Department consular agent Anna Maria Saiano was instrumental in helping us to develop this rapport. 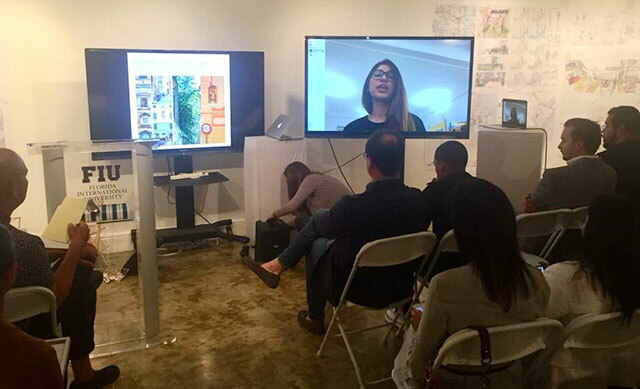 Final review of spring 2018 architecture projects in Genoa with simultaneous participation of FIU faculty and guest critics in Miami; Elise Francis presenting. 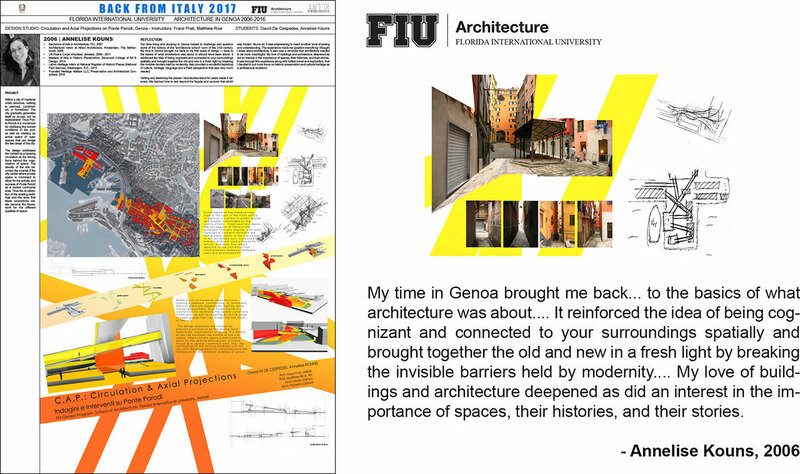 Mariana Gonzalez presenting her project in Genoa, with critics in Miami. 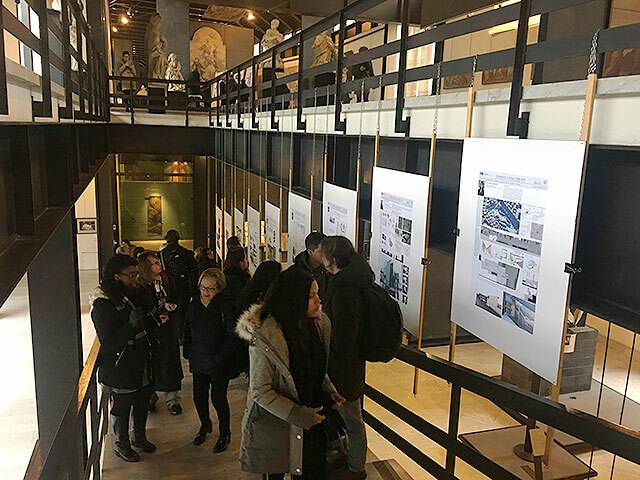 on February 28 an exhibition of works by FIU students was inaugurated in the Museum of Sant'Agostino with the generous support of Il Municipio I Genova Centro Est, Ufficio Manifestazioni. 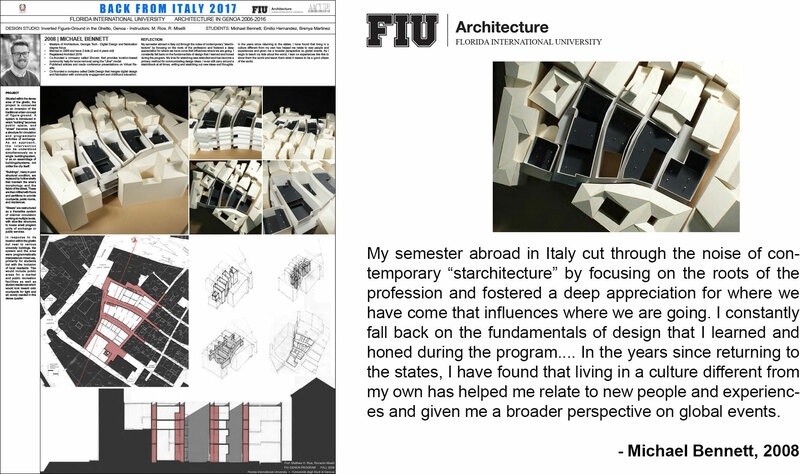 Included were projects by fall 2015, 2016 and 2017 architecture students, works from the Association of American University and College Programs in Italy show "Back from Italy" in the Italian Embassy in Washington DC in spring 2017 with the work and reflection from one architecture student from each of the years 2006-2016, and watercolors executed in Italy by students of FIU art professor David Chang. 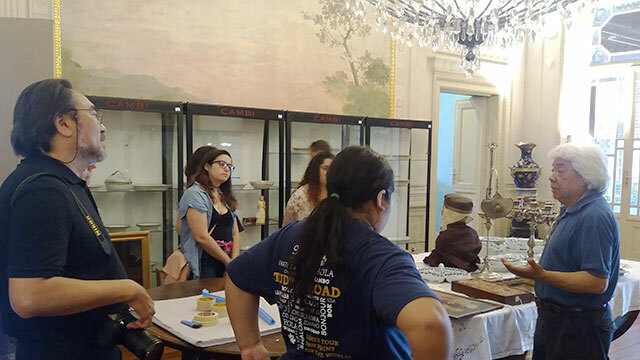 Special thanks to Maria Elisa Marini for her help in organizing the exhibition. 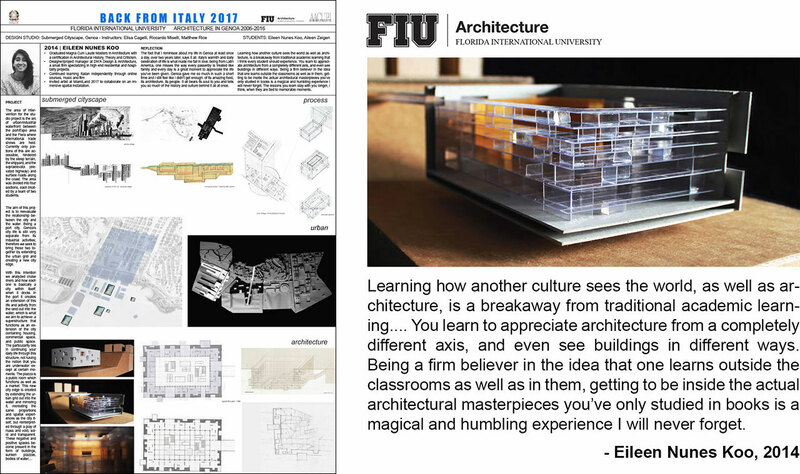 The Association of American College and University Programs in Italy (AACUPI) is mounting a show of student projects from architecture programs in Italy at the Italian Embassy in Washington DC opening May 19, 2017. 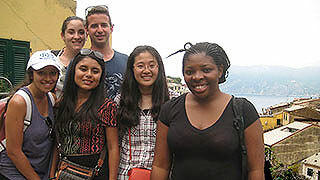 The theme is "Back from Italy" to gauge the lasting value of the experience personally and professionally. 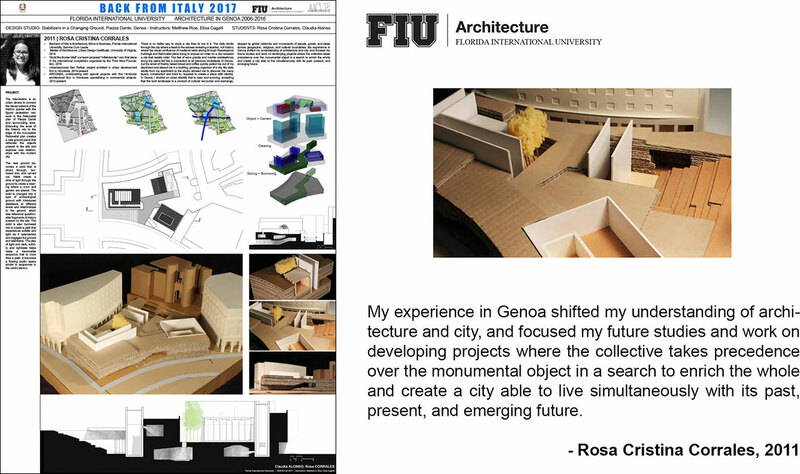 FIU's Architecture in Genoa program presented the project and reflection from one student for each each year from 2006-2016. 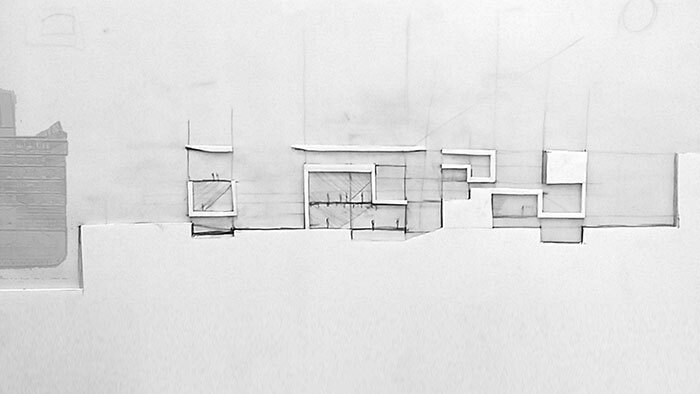 The slides below show the final board and and an excerpt of the reflection. 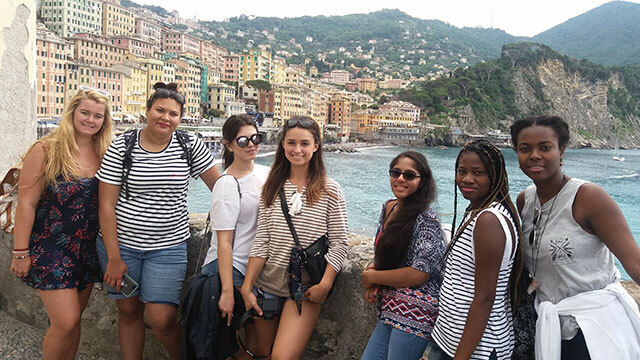 FIU's program in Genoa offers a unique opportunity to live and learn in a fascinating and complex Italian city situated between sea and mountains, and without a significant US student population. 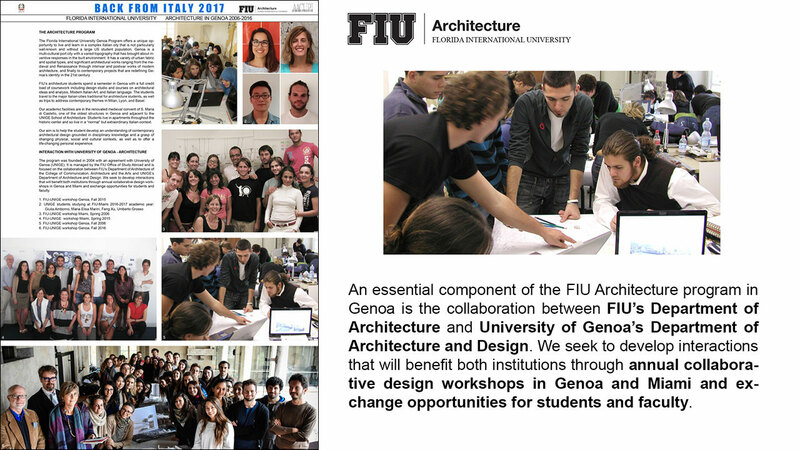 We cultivate interaction with the students and faculty of University of Genoa (UniGe), and seek to develop opportunities that will benefit both FIU and UniGe. 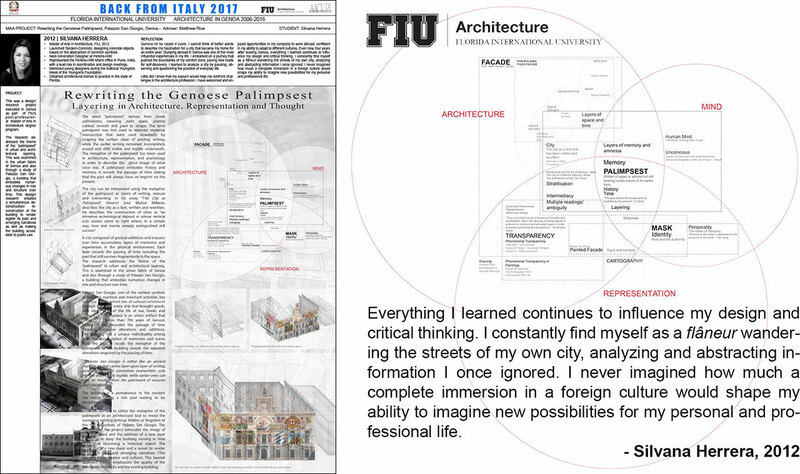 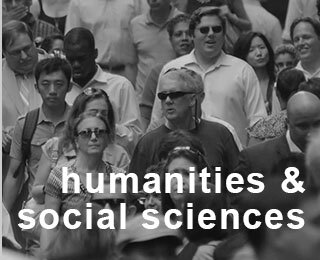 FIU has semester programs in architecture and allied design fields, as well as summer programs in the humanities, social sciences, and tourism/hospitality. 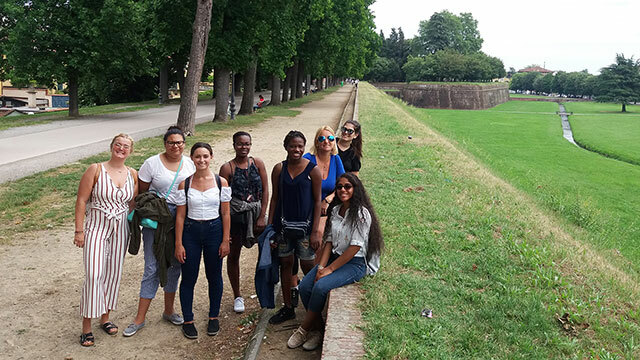 Most people think of Rome, think of Florence, think of Venice, but as far as I'm concerned they are amusement parks for tourists. 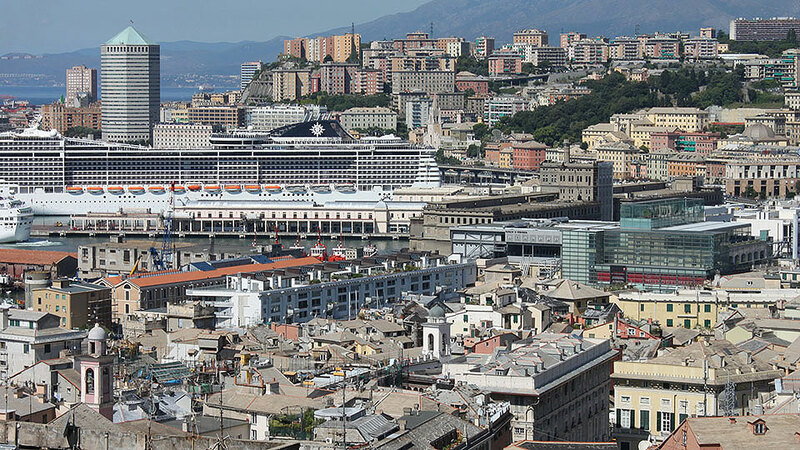 Genoa has remained the real thing.